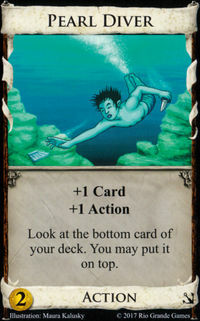 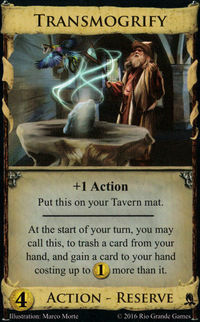 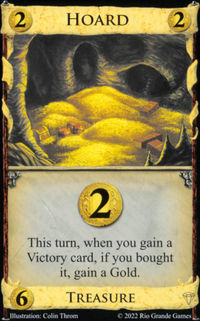 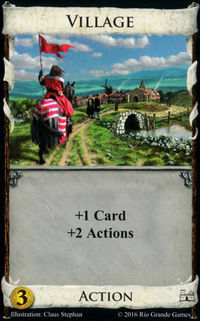 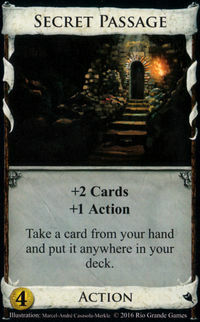 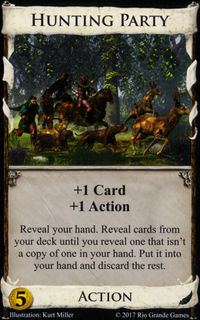 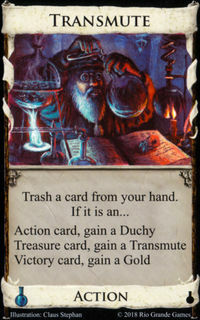 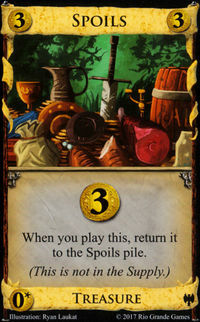 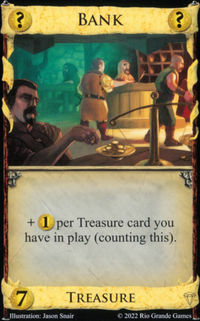 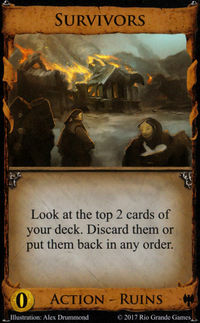 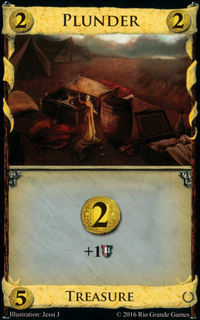 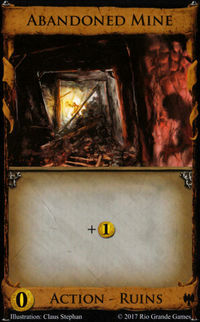 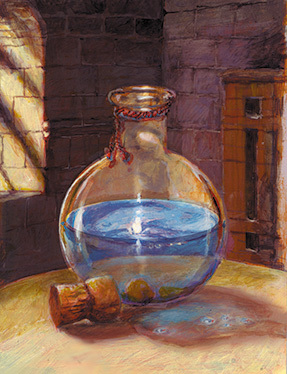 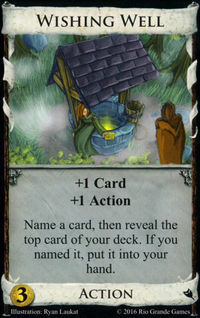 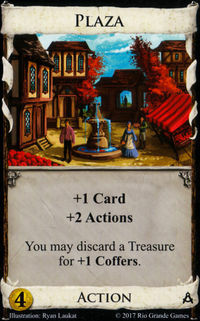 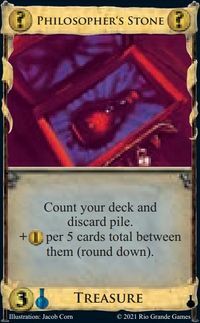 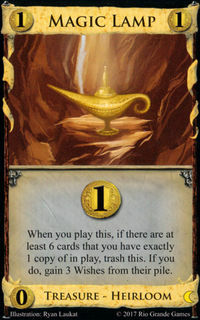 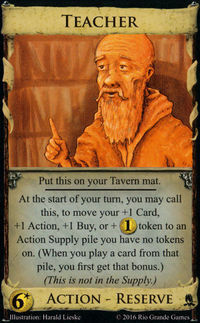 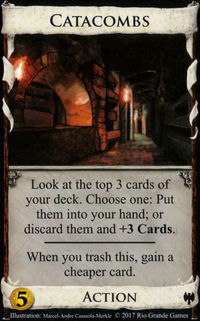 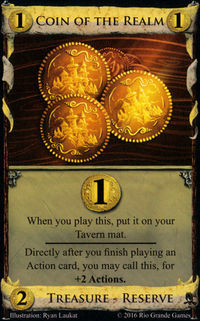 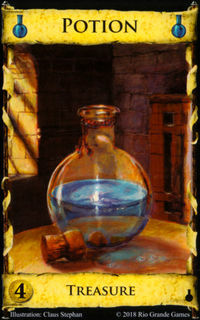 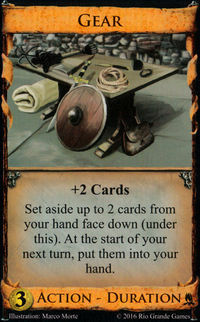 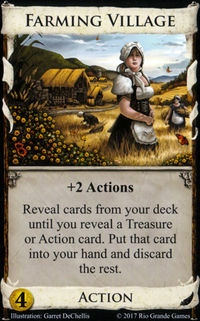 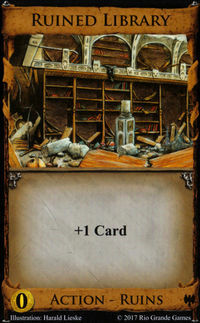 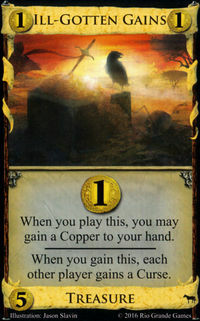 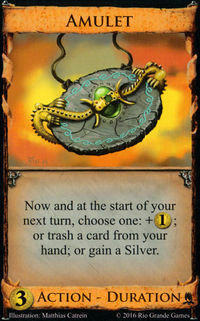 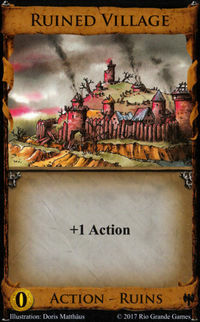 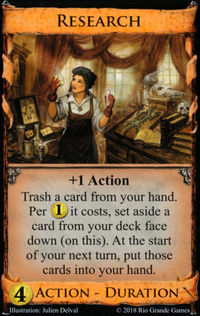 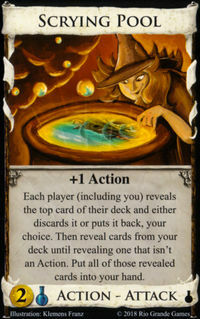 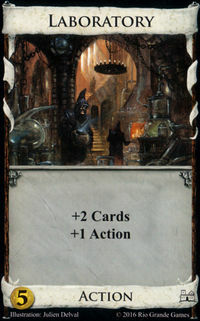 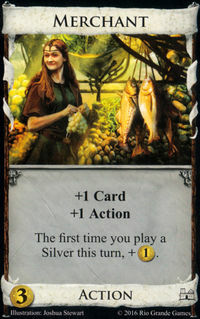 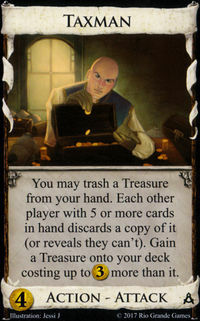 A Potion is a basic Treasure card from the Alchemy set. 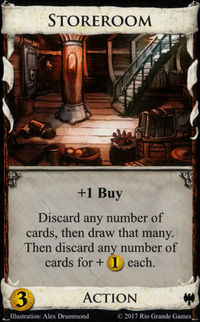 It is the only card that produces , and therefore Potion is needed to buy cards with in the cost. 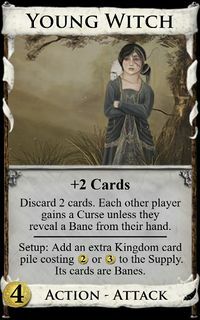 During setup, Potion is added to the Supply if at least one Kingdom card with in the cost is on the board (or in the Black Market deck). 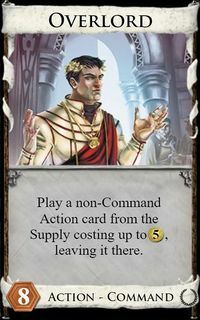 is orthogonal to in a cost; thus, although a card with a cost of is considered to cost "more" than a card costing or less with no , costs of, e.g., and are incomparable—neither is more or less than the other. 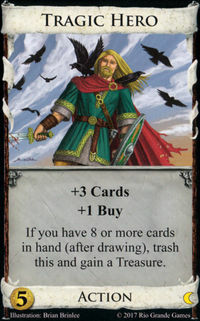 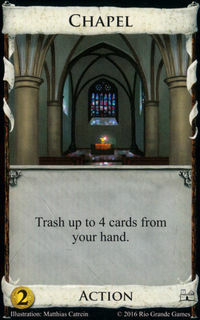 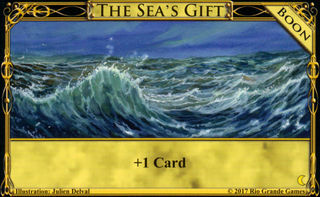 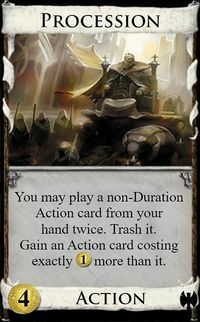 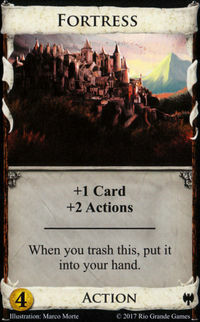 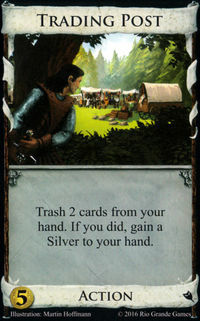 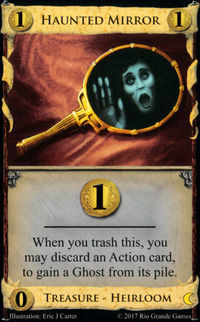 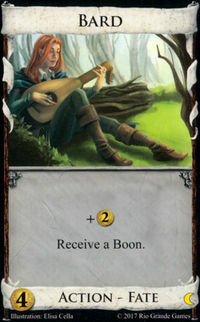 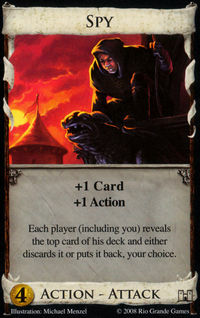 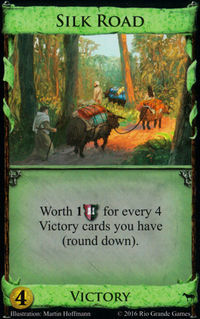 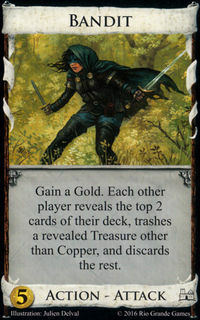 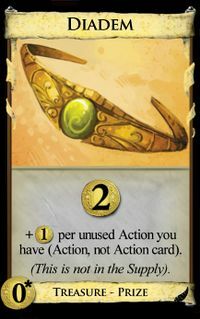 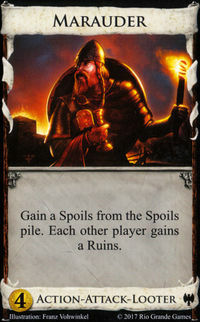 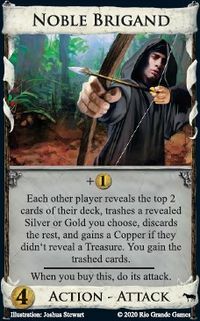 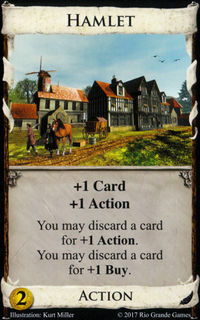 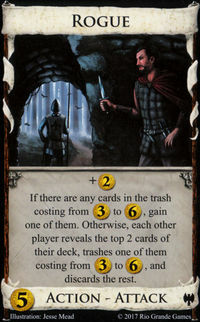 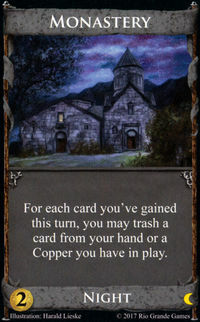 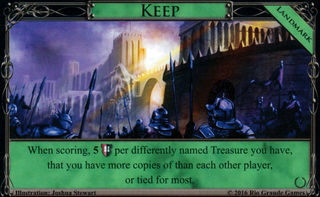 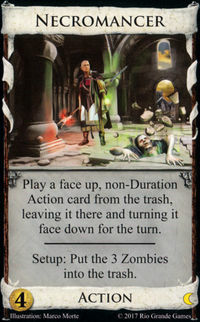 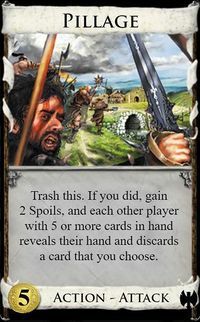 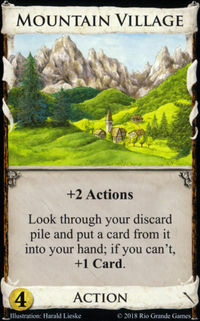 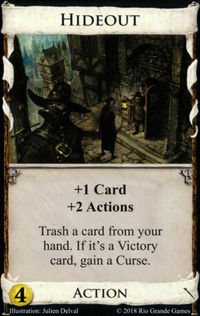 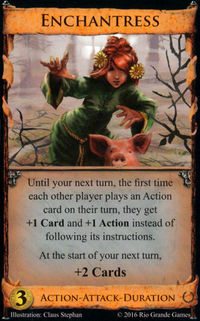 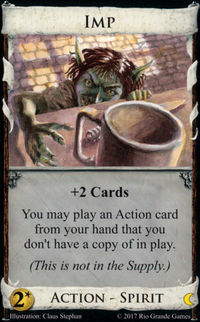 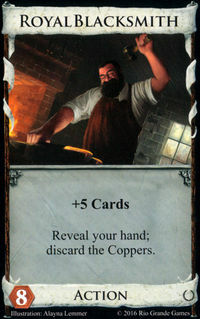 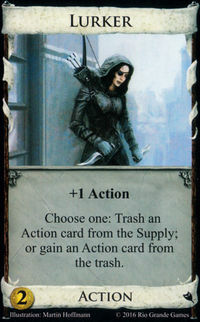 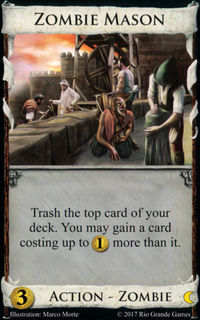 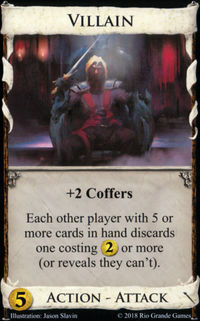 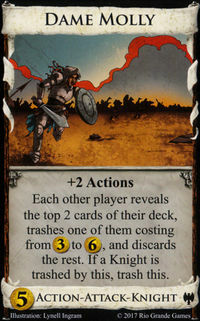 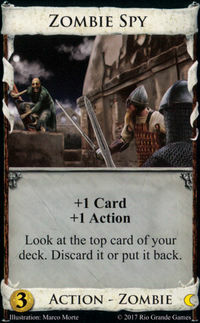 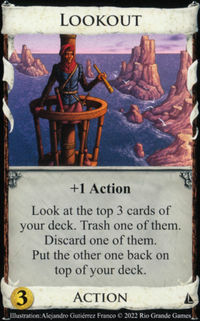 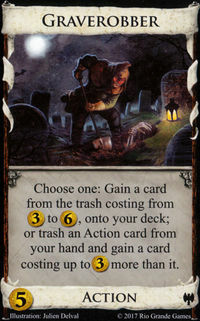 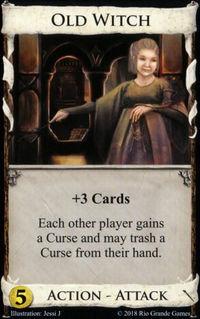 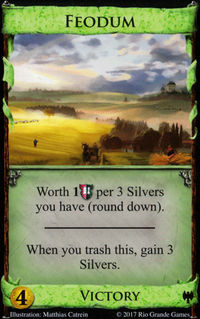 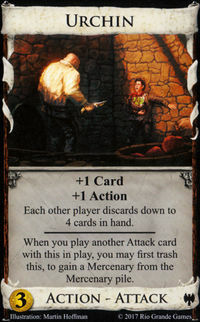 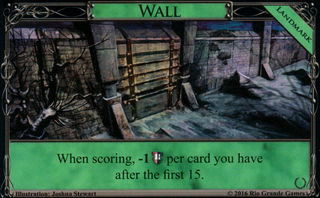 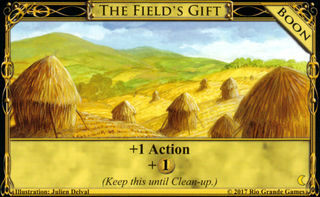 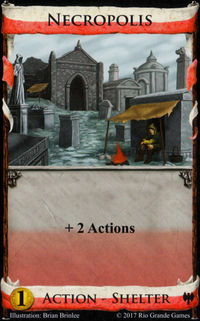 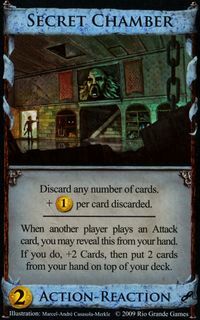 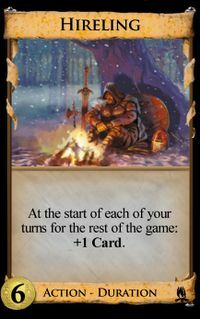 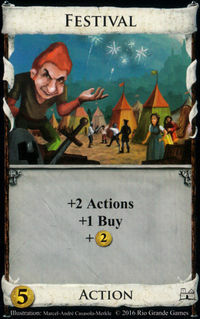 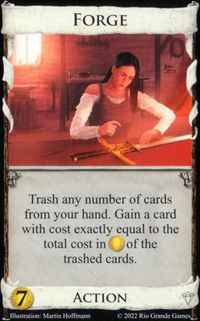 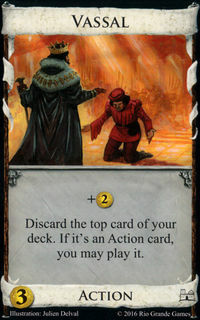 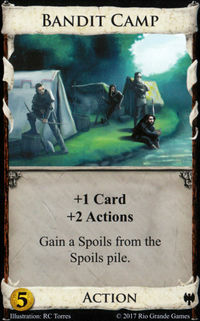 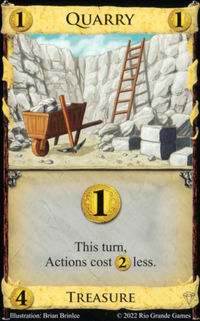 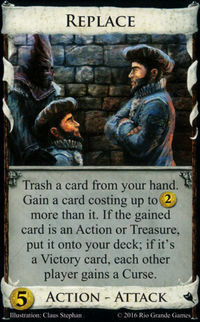 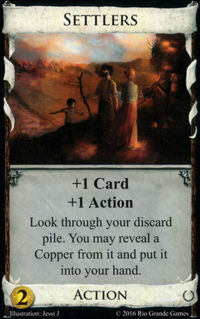 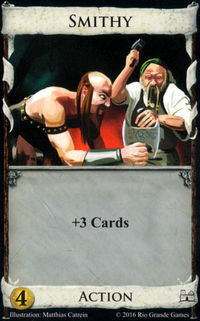 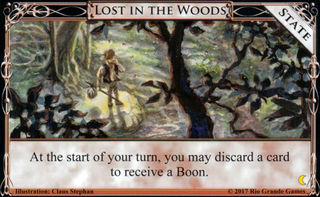 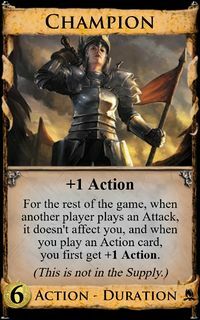 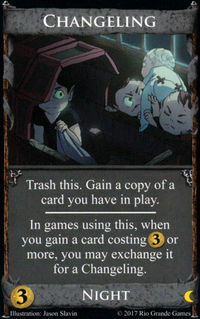 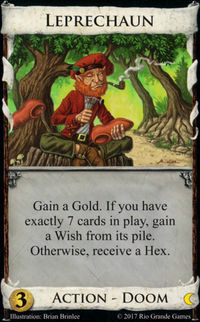 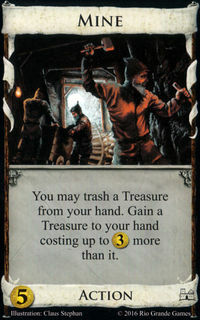 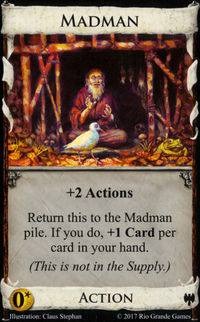 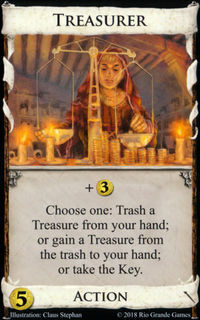 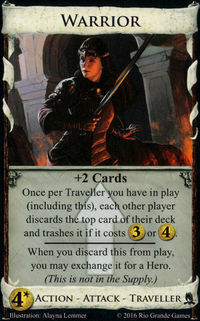 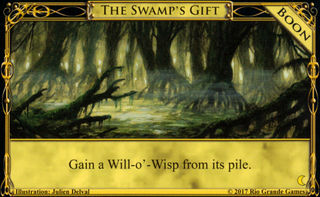 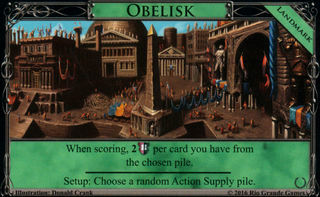 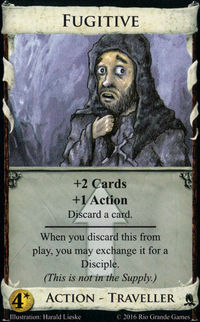 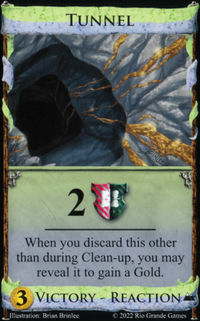 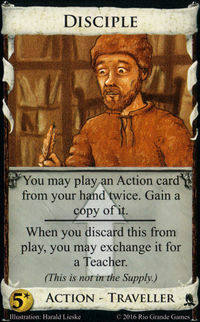 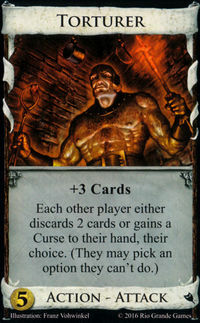 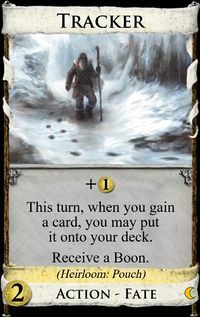 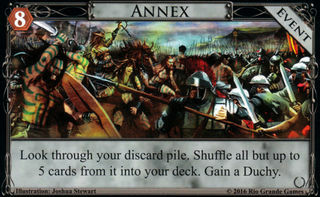 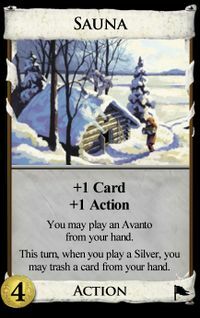 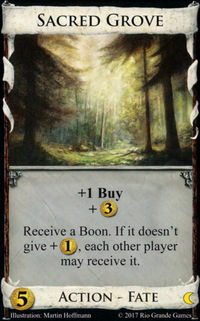 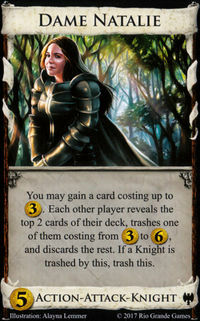 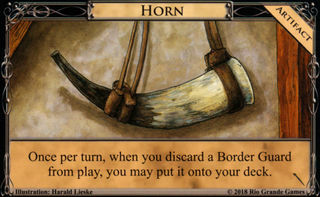 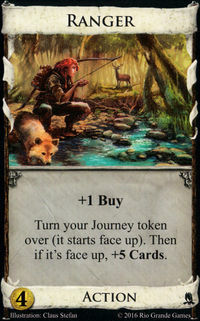 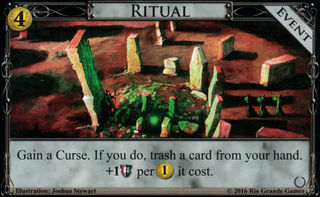 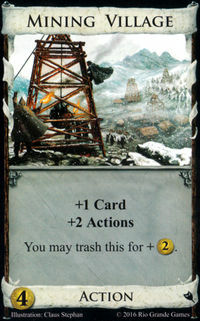 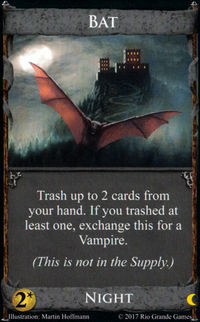 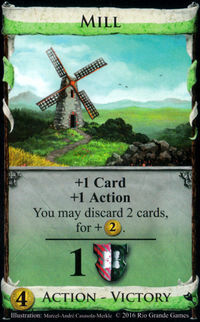 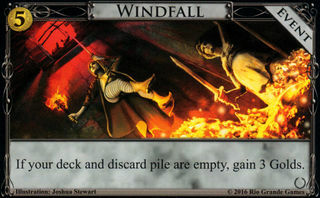 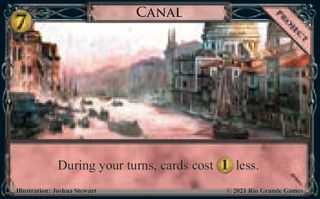 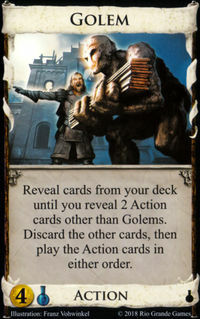 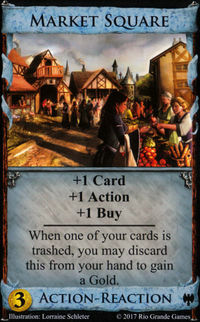 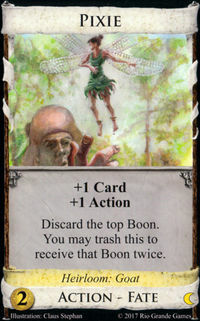 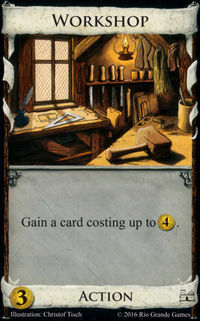 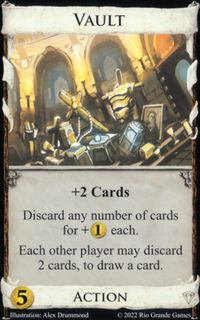 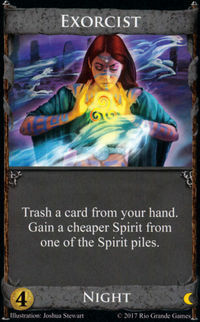 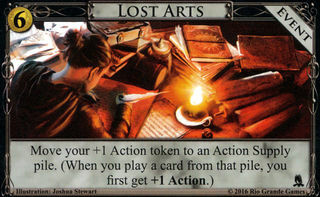 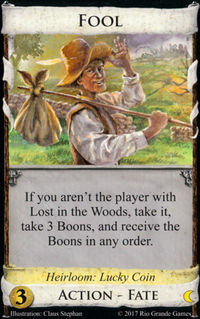 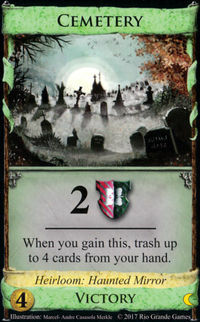 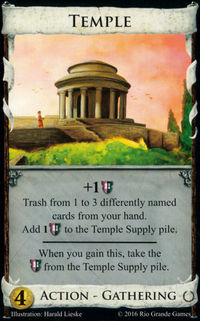 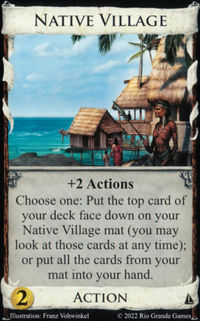 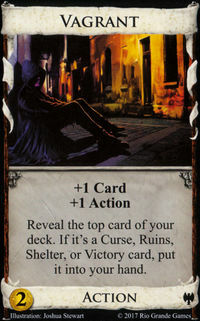 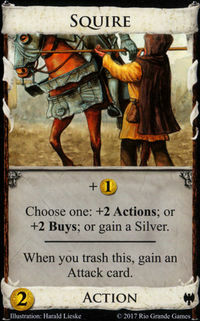 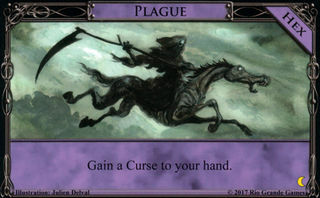 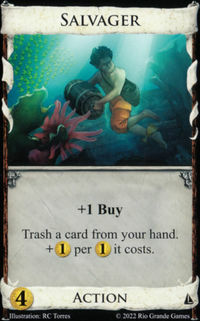 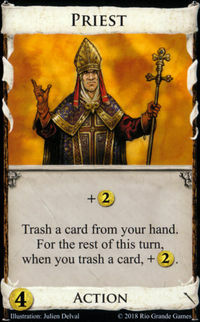 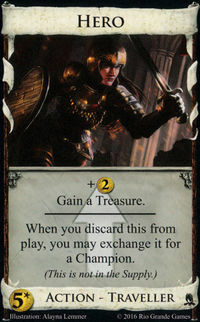 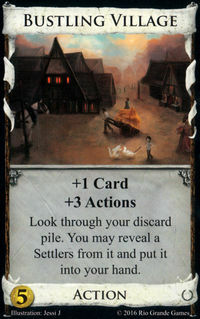 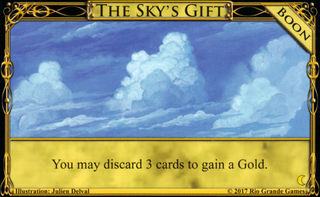 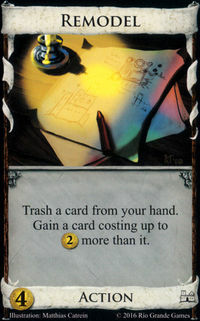 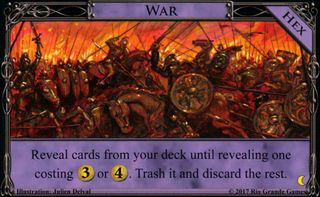 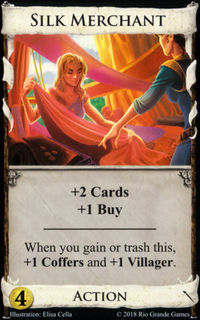 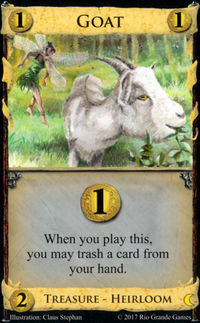 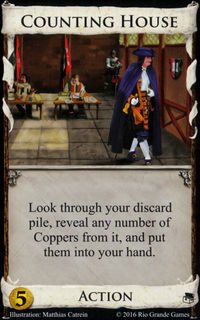 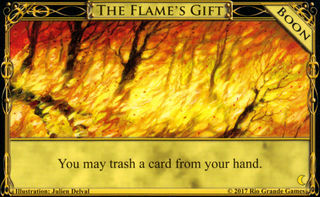 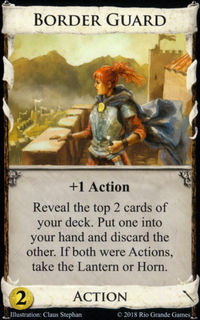 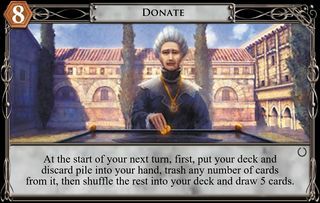 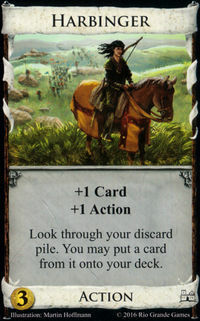 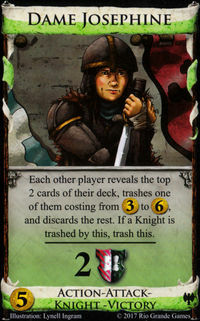 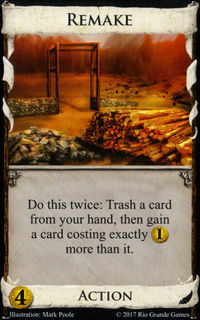 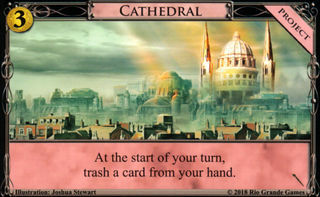 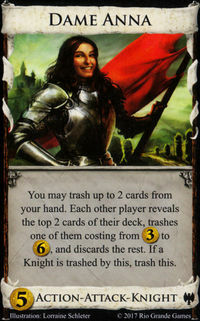 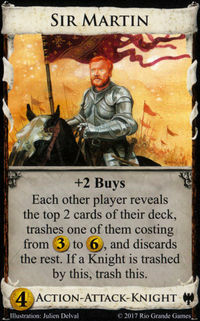 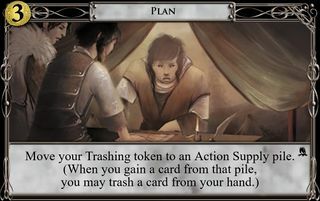 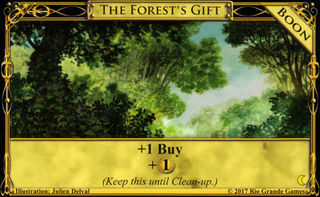 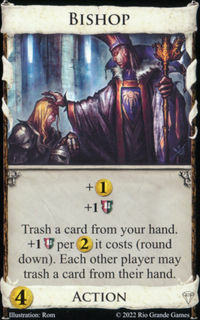 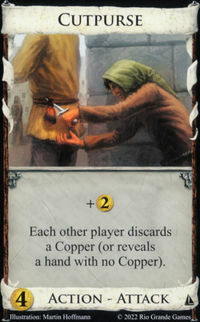 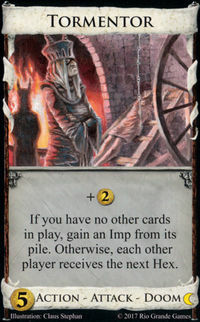 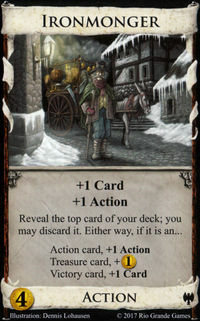 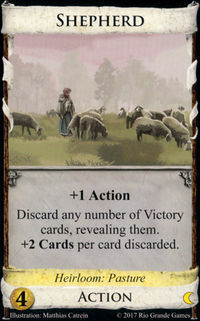 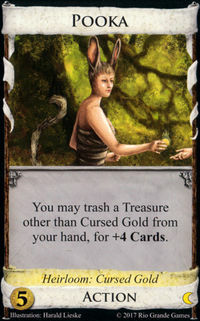 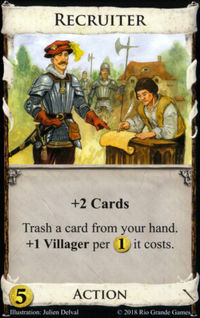 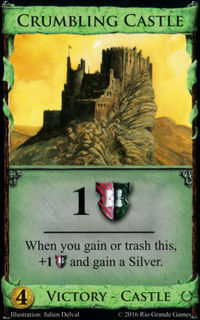 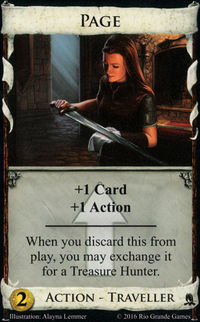 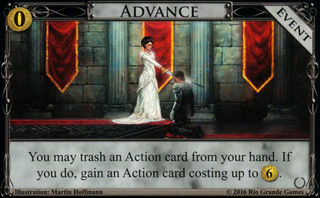 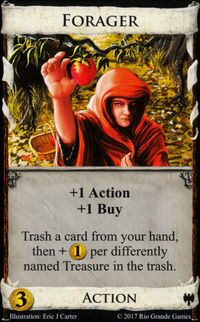 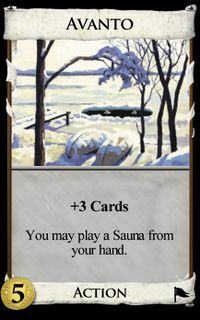 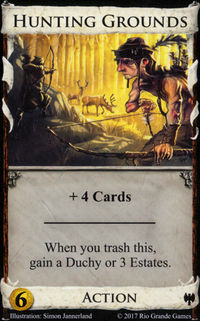 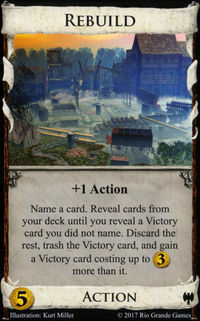 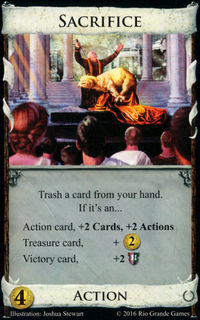 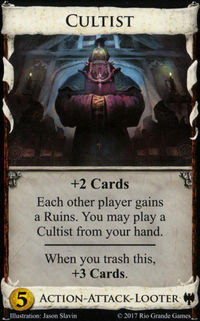 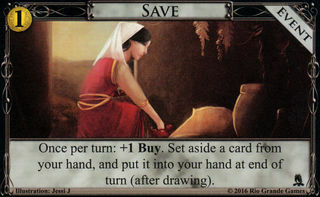 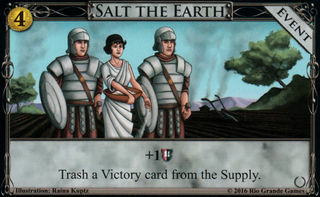 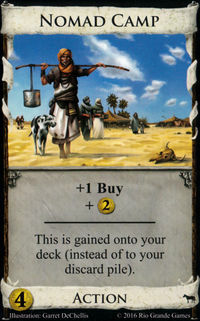 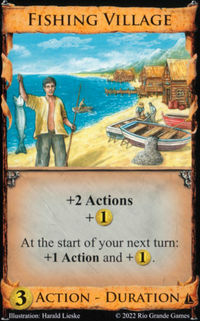 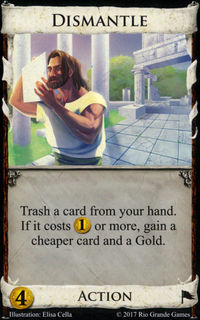 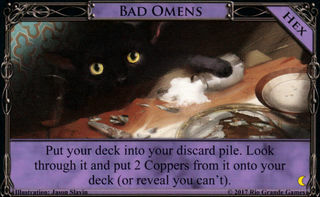 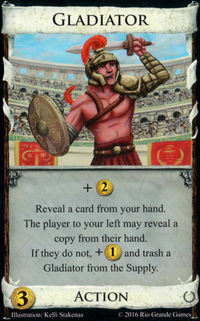 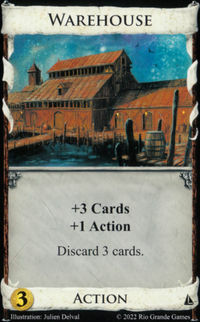 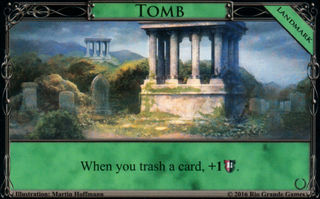 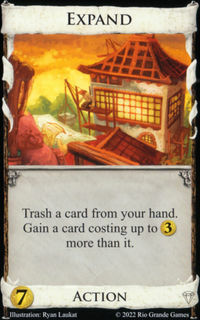 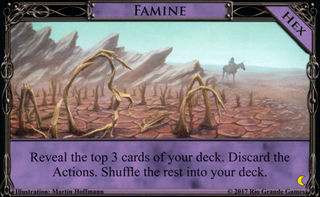 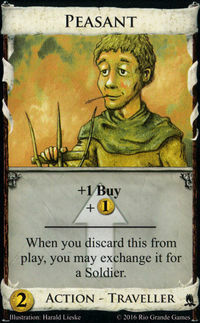 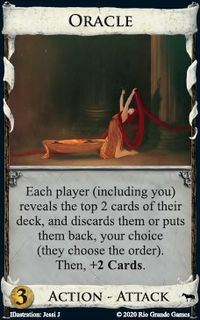 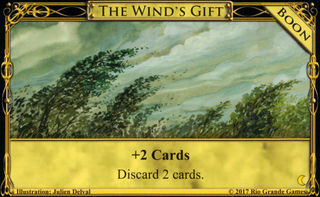 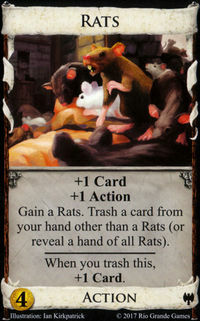 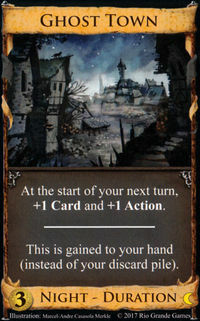 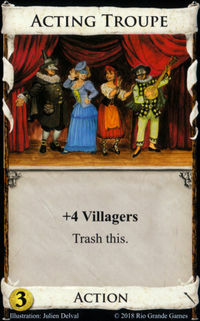 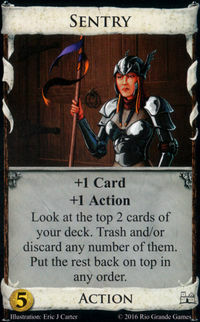 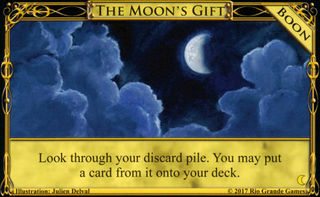 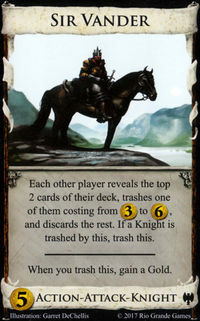 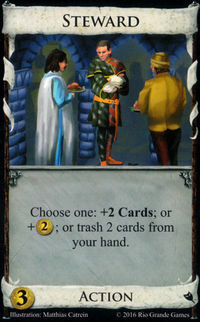 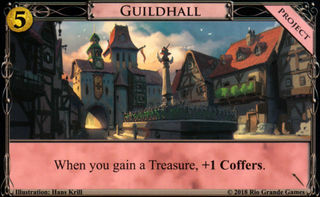 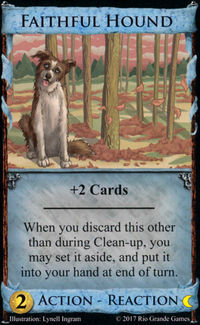 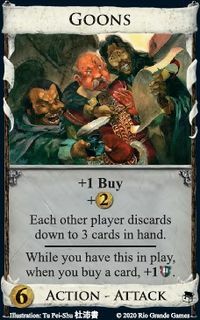 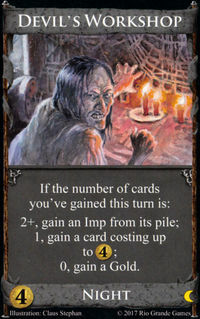 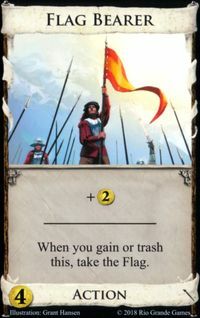 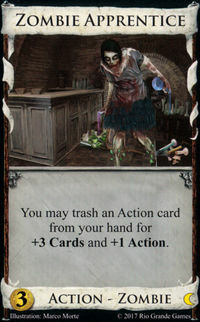 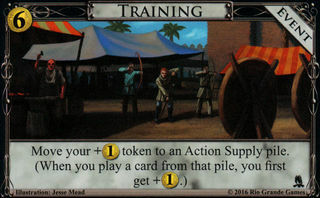 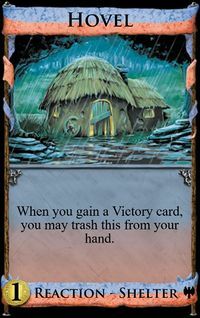 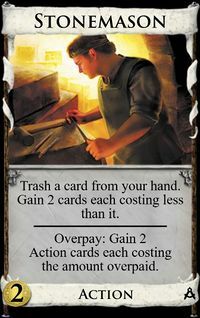 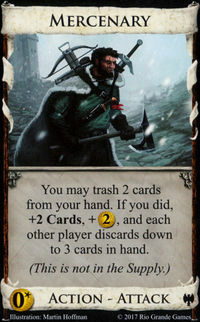 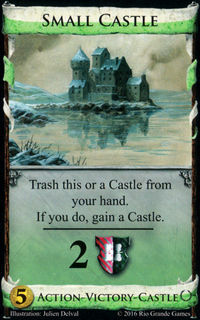 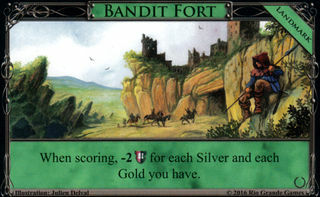 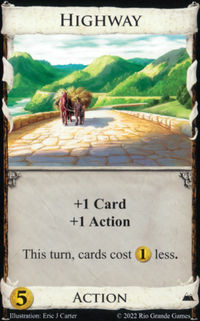 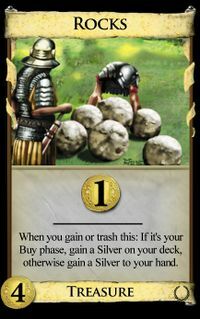 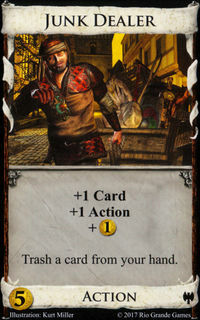 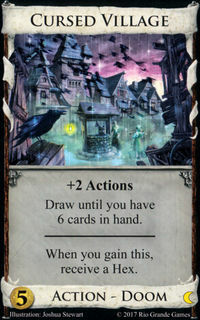 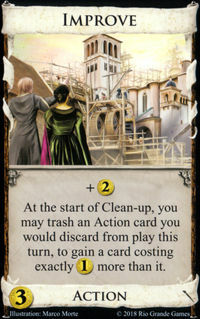 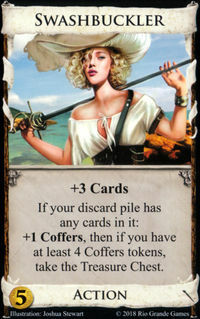 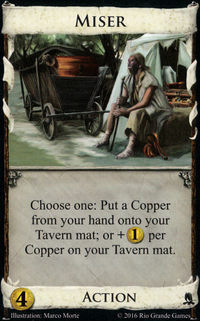 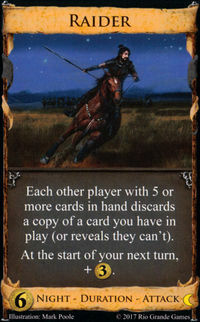 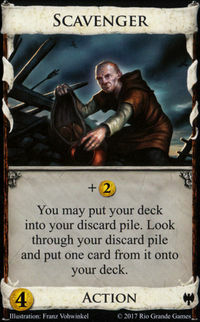 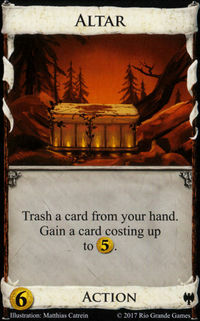 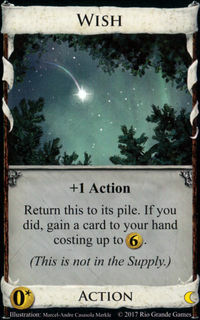 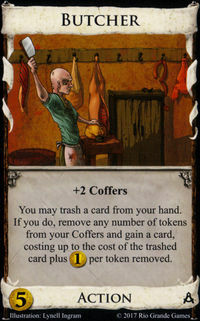 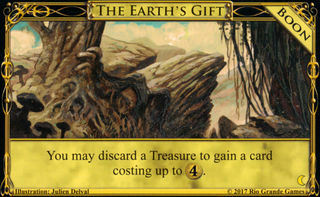 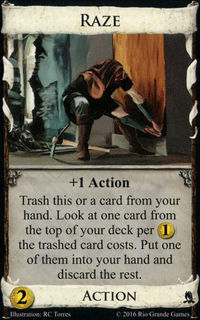 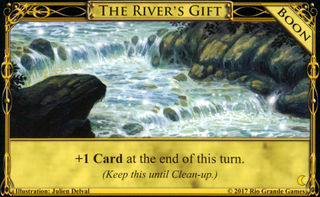 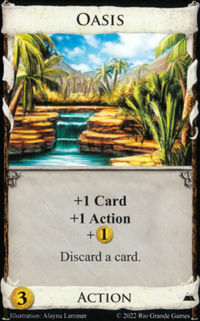 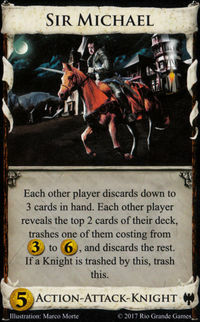 Many trash-for-benefit cards whose effects depend on a card's cost only consider the cost in and ignore ; most Workshop variants can't gain cards with costs at all. 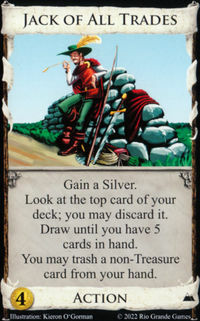 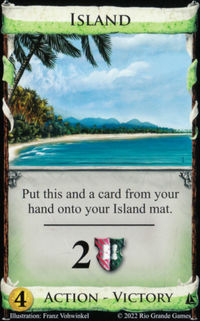 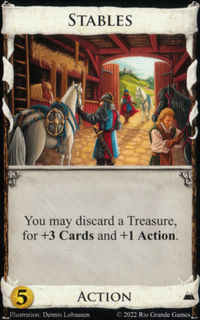 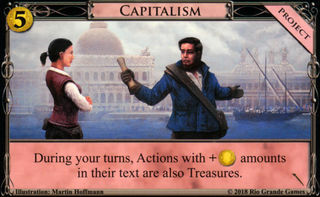 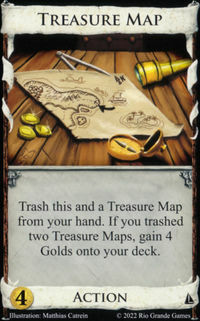 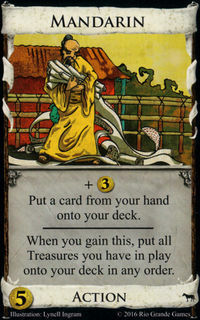 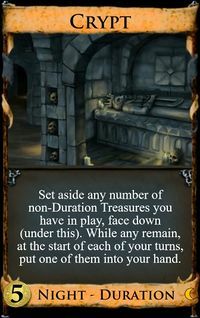 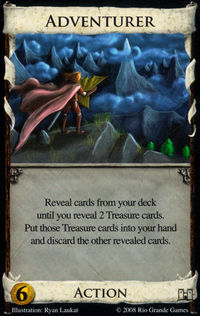 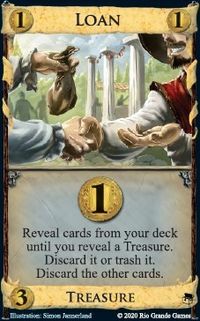 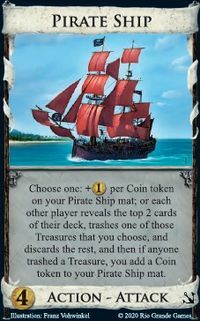 This is a basic Treasure card. 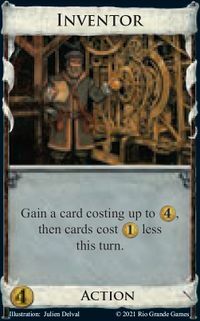 It costs and produces . 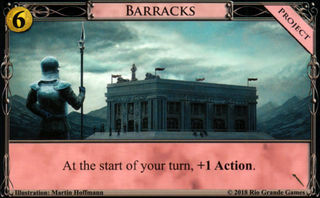 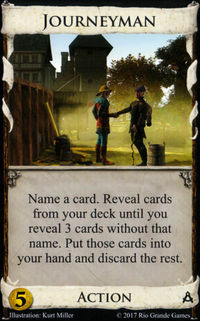 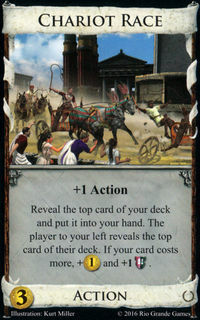 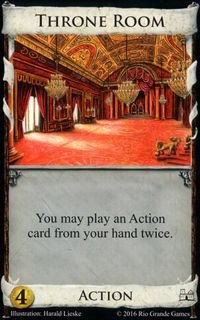 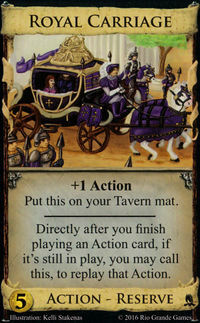 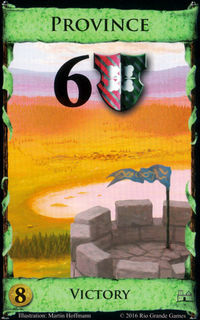 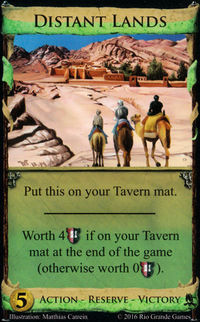 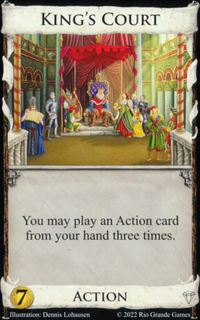 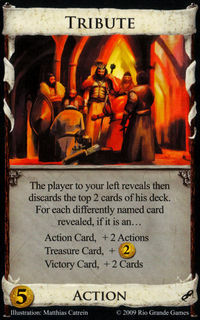 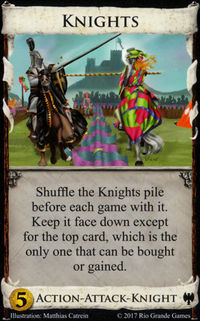 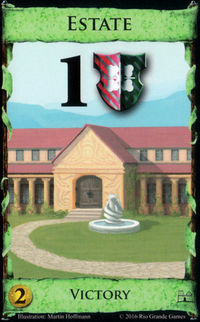 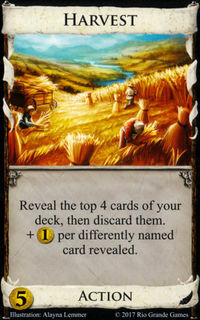 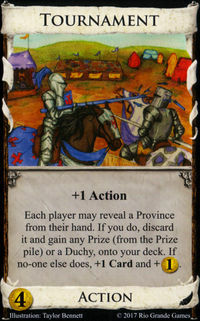 It is not a Kingdom card; see the Preparation rules. 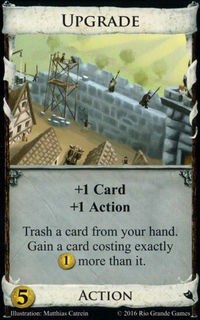 Different -costing cards call for different strategies, of course. 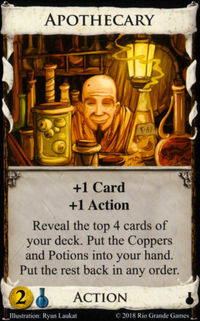 But there are a few general points that apply to most Potion games. 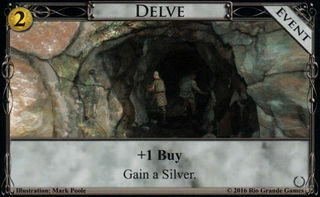 Potion costs to buy—slightly more than Silver . 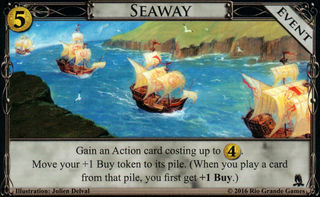 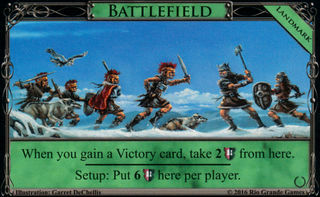 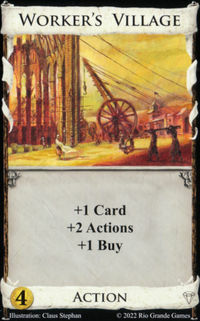 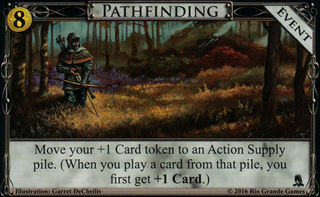 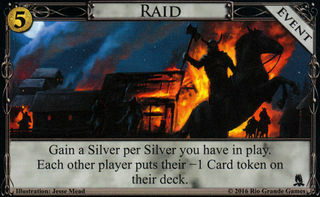 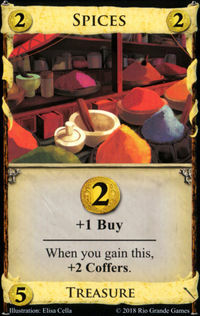 Thus, cards costing can be thought of as slightly more expensive than cards costing + . 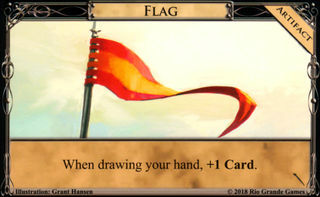 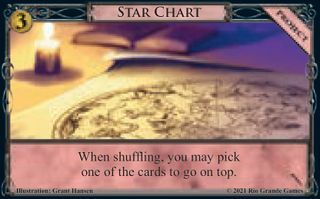 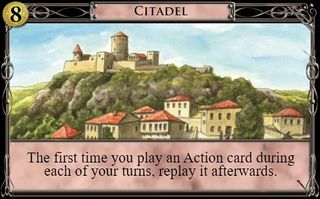 This rough guideline works in many cases: for instance, Alchemist is a Laboratory with a bonus; Familiar is more powerful than Witch ; Possession , arguably the most powerful Action card, competes at with Province at . 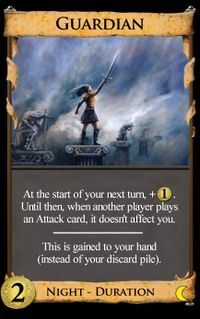 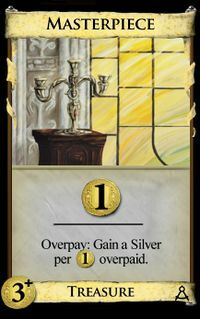 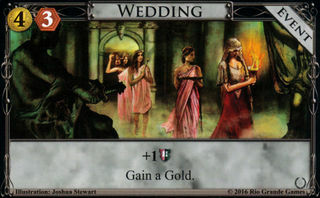 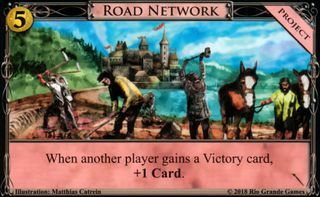 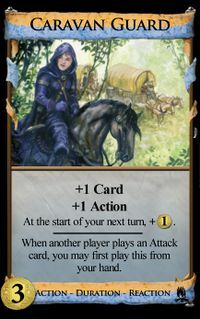 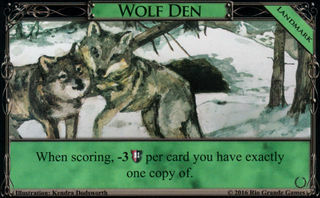 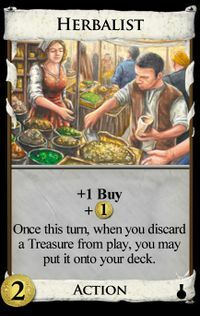 However, there is more to costs than just the notion that < < ; cards costing are in general much harder to gain than cards costing + -and-a-half or so. 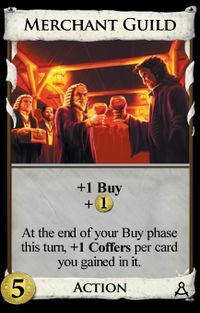 Since you don't start with a Potion in your deck, you can't open with a -costing card and thus usually can't have one in hand till turn 5 at the earliest; since Potion costs you can't open with two Potions, and thus can't even usually gain your second -costing card before turn 5. 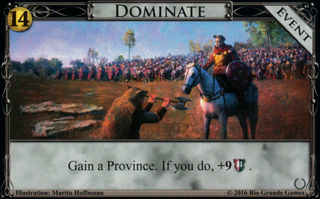 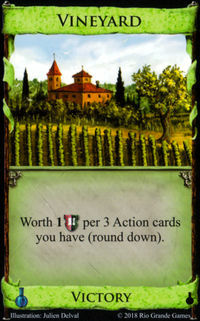 Moreover, having Potion in your deck is itself usually ultimately a liability: the only Victory card Potions can buy is Vineyard , and when it comes time to buy Provinces the Potion is essentially a dead card in your deck. 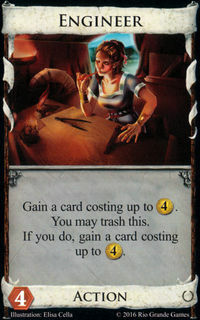 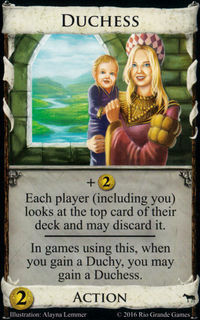 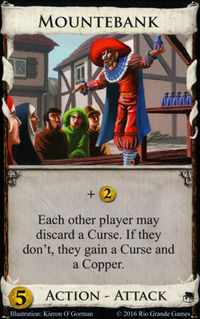 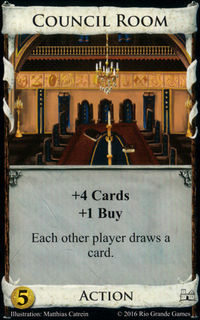 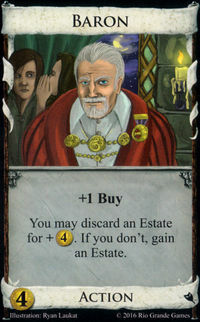 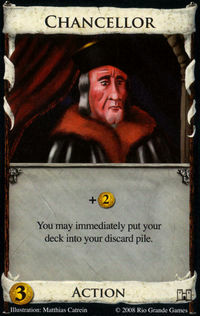 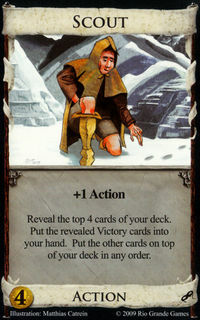 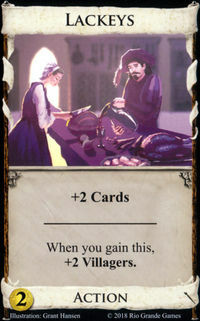 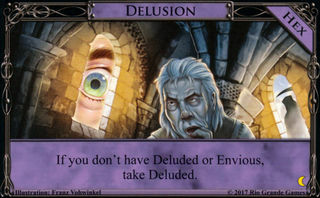 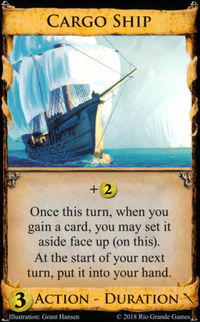 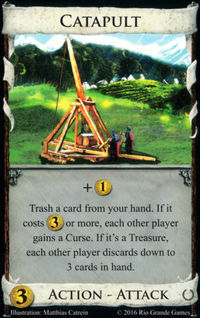 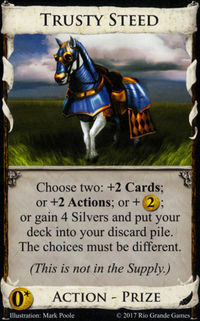 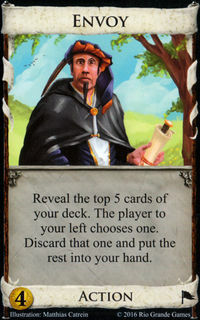 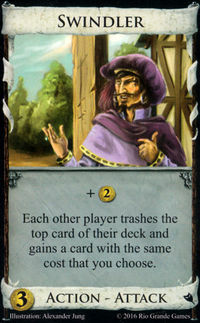 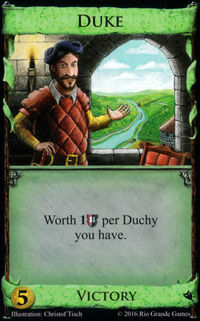 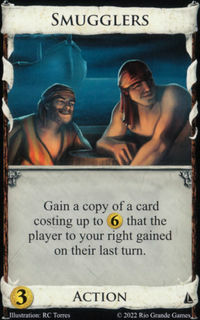 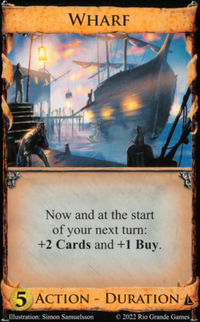 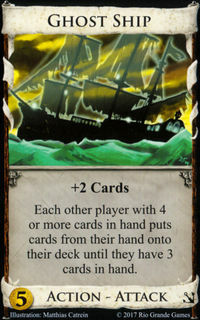 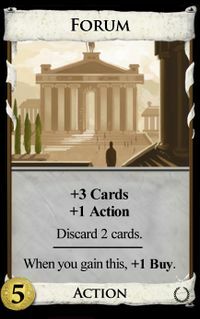 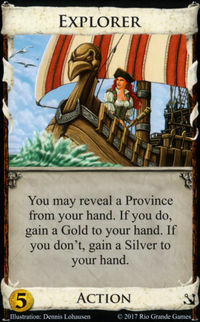 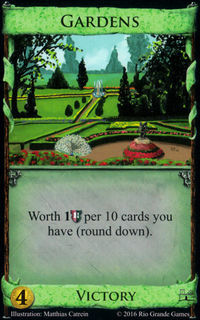 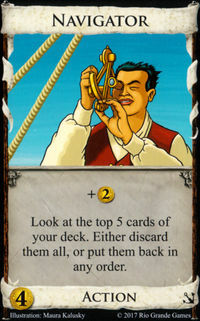 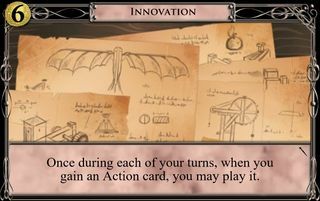 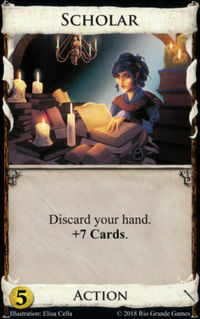 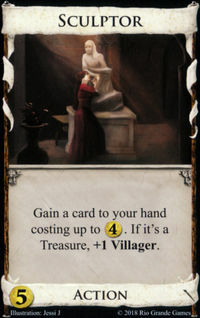 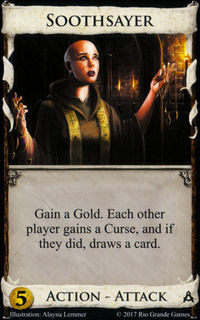 For this reason, a major component of the strategy of Potion games lies in deciding whether the value of the powerful cards you can buy with Potion is worth the cost of weakening your deck by adding to it a Potion that won't help you buy Provinces, and of the fact that the construction of your deck is delayed by the amount of time it can take to acquire the powerful -costing cards. 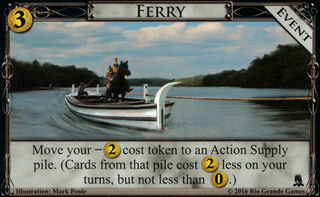 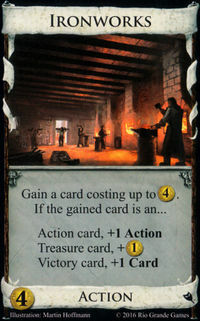 These drawbacks are compensated for in part by the fact that -costing cards are in general very powerful. 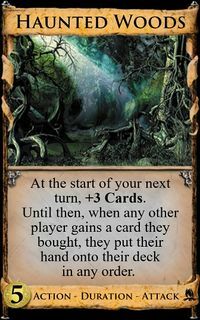 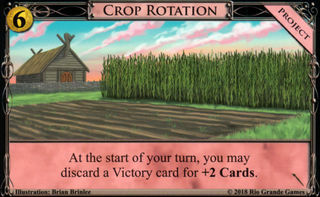 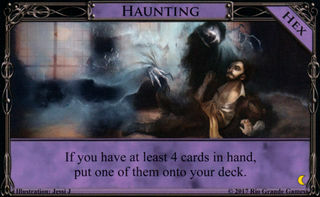 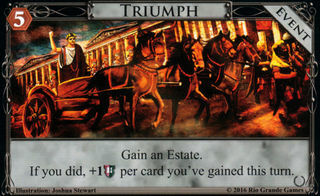 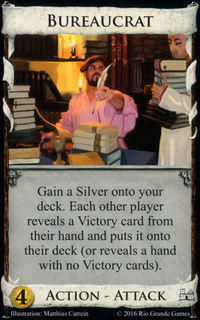 For instance, Vineyard and Philosopher's Stone can be worth, respectively, insane amounts of and in decks properly constructed around them; and with sufficient trashing, an engine built around Scrying Pool or Alchemist can regularly draw your whole deck with a high degree of consistency. 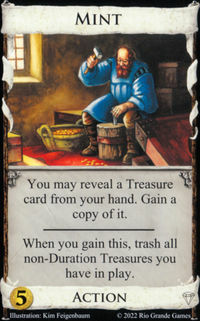 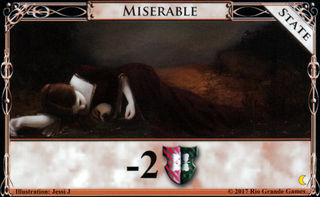 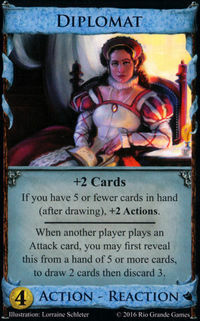 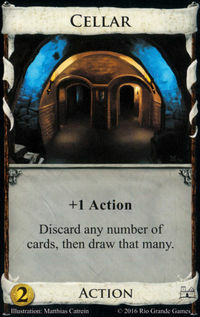 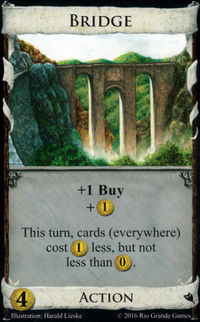 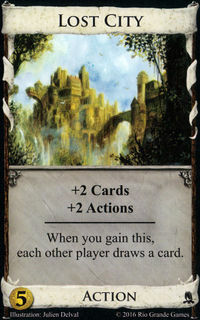 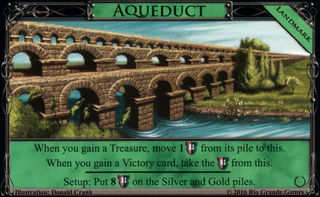 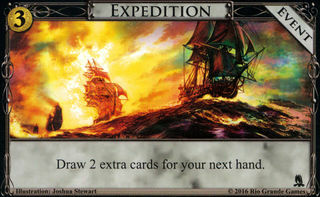 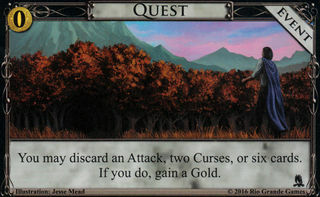 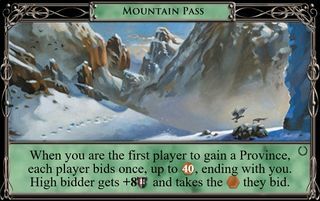 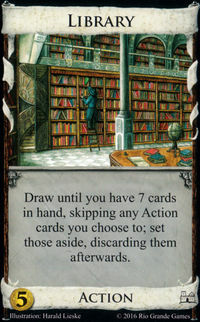 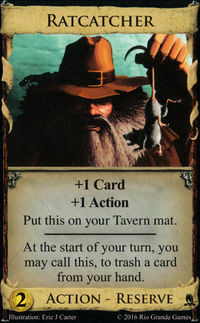 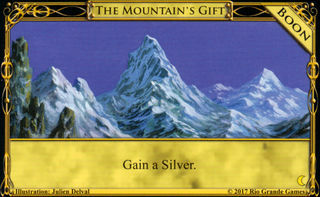 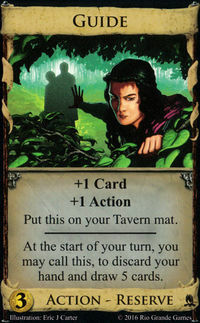 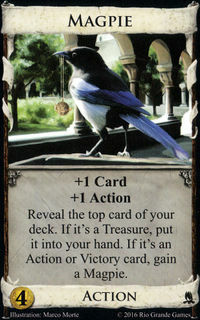 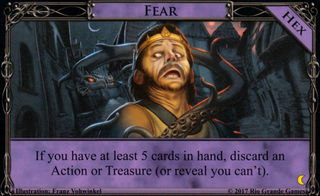 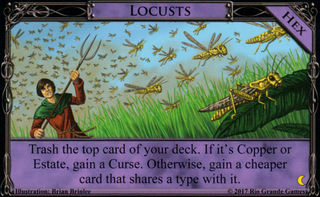 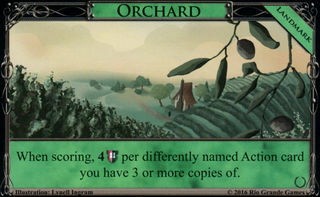 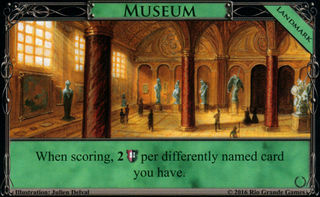 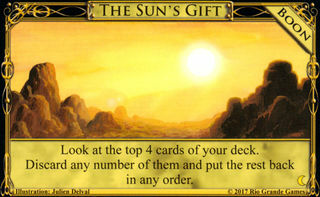 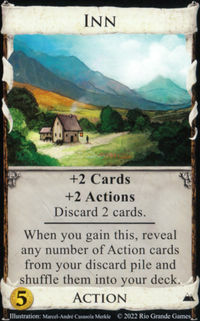 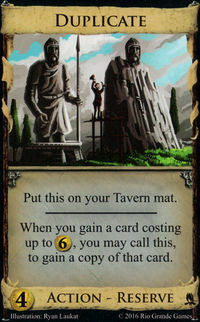 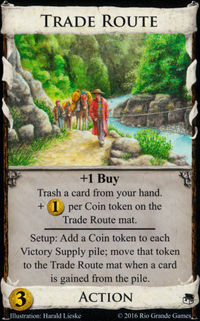 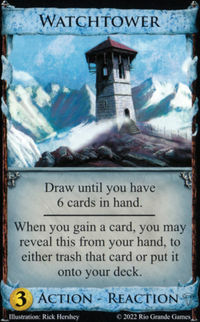 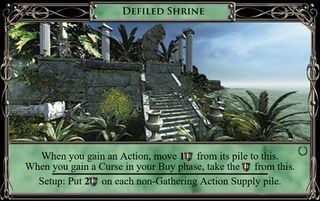 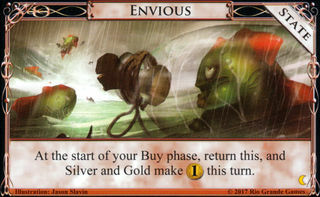 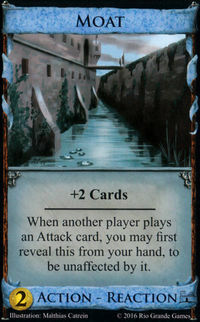 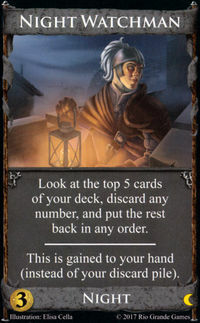 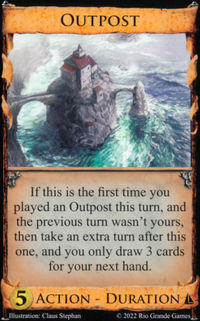 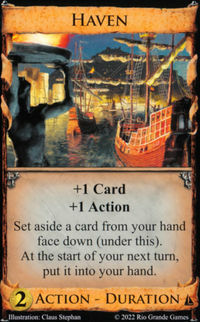 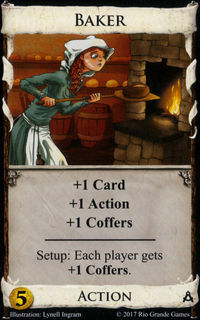 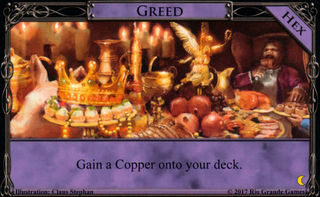 Moreover, -costing cards are generally designed so that decks that benefit from gaining them benefit from gaining multiple copies of them—the majority of them are non-terminal Actions, one is a Treasure, and one is a Victory card—so it is rare that you find yourself buying a Potion that you only want to use once; whenever you draw your Potion, you're usually happy to buy another copy of whatever -costing card made you want to buy the Potion in the first place. 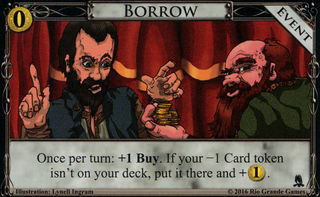 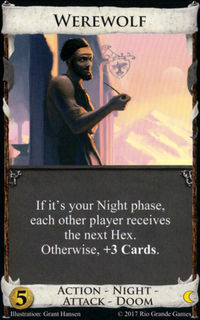 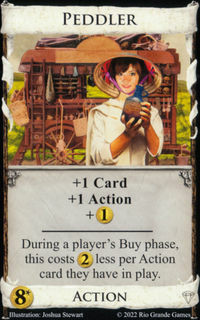 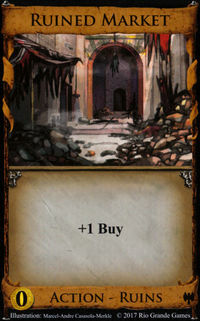 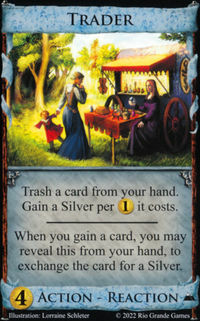 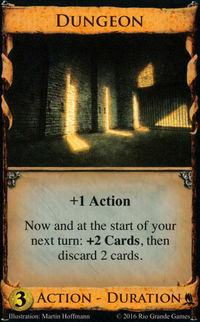 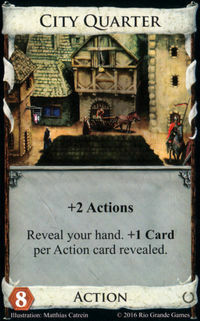 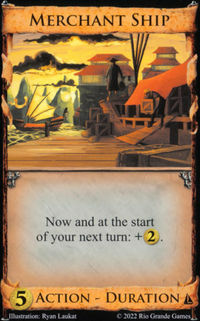 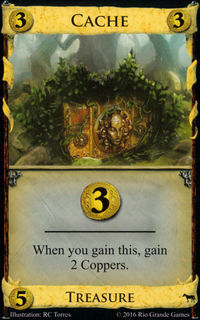 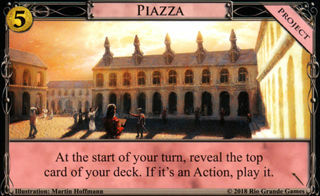 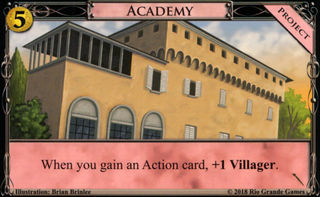 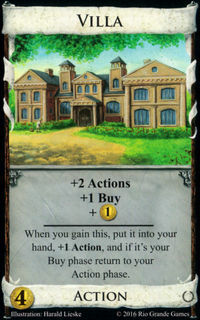 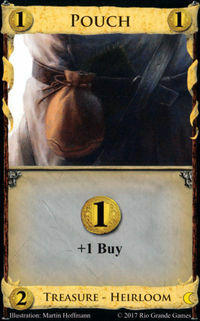 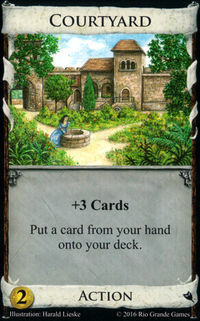 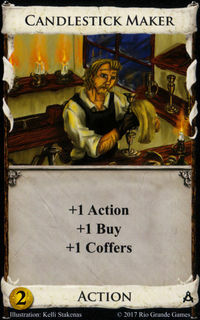 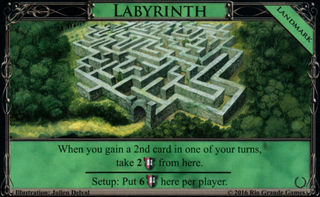 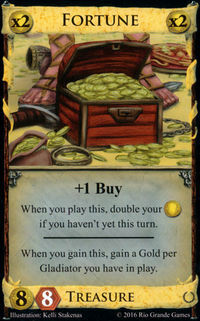 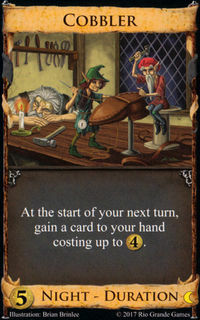 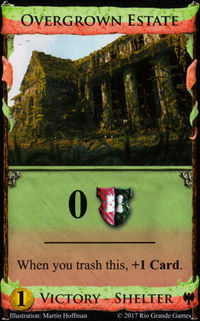 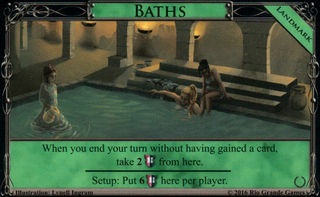 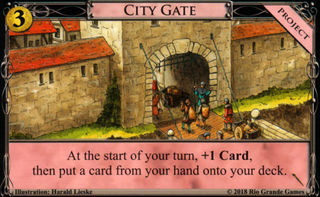 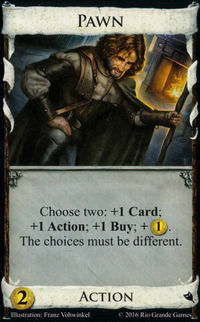 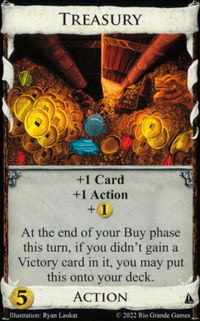 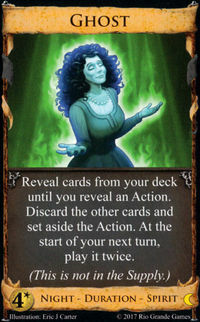 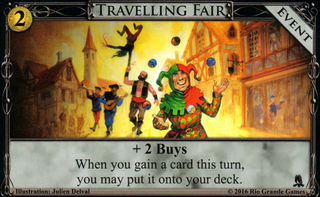 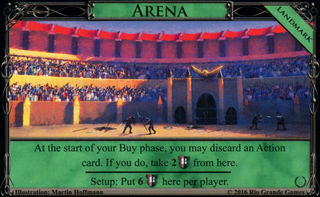 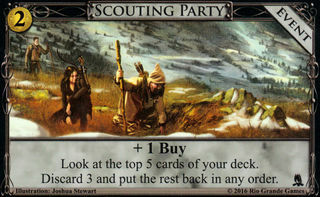 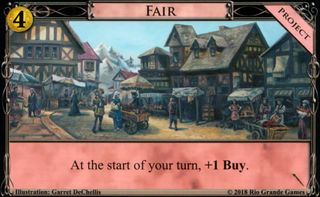 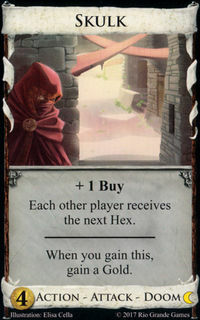 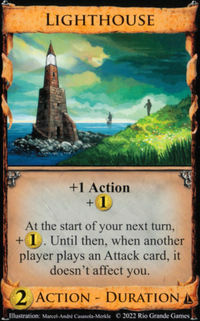 The best times to buy Potion are usually either the opening—for cheap -costing cards, to enable you to buy as many of the target cards as you can as early as possible—or once you have a smoothly-functioning and rapidly cycling engine assembled—so you don't have to wait too long after buying the Potion to start being able to use it to buy expensive -costing cards like Golem or Possession . 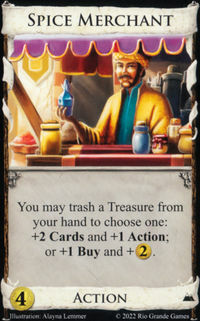 A common mistake inexperienced players make is to open with Potion when the only -costing card in the Kingdom is an expensive one; the early Potion then just acts as a dead card for the early game, making it harder for you to actually buy the Gold you need to be able to afford that Possession. 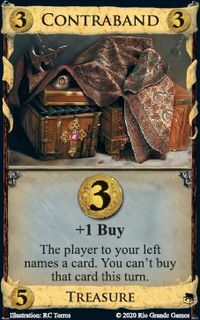 In games with only one -cost card in the supply, it's rarely desirable to buy multiple Potions; one is usually enough to buy all the -costing cards you need without slowing down the rest of your deck too much. 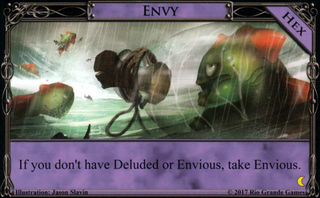 Exceptions may include Philosopher's Stone slogs, in which you cycle slowly but want to get as many Philosopher's Stones as possible; Vineyard endgames when you want to buy Vineyards every turn (or multiple Vineyards on one turn); and early in Alchemist games when you're not yet drawing your deck each turn and want to make sure you don't miss drawing a Potion on any turn. 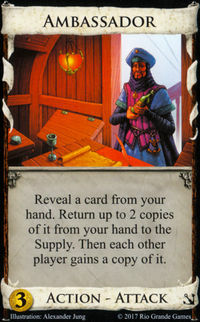 Even in games using these cards, though, getting only one Potion is still the better strategy as often as not. 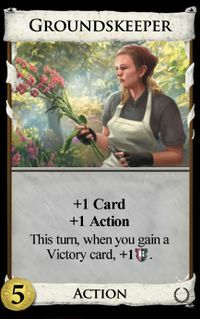 In many cases Herbalist can substitute for a second Potion buy allowing you to reuse the same Potion on consecutive turns; Stonemason and sometimes Haggler can also let you gain multiple -costing cards with just one Potion. 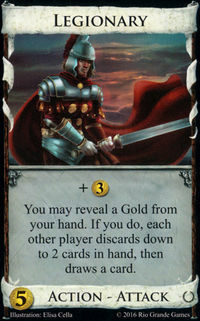 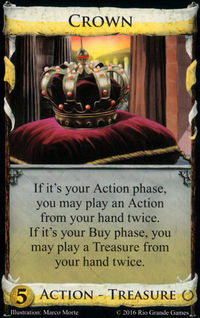 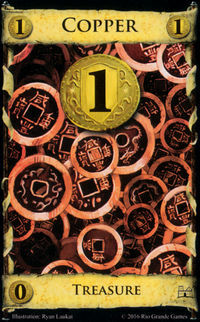 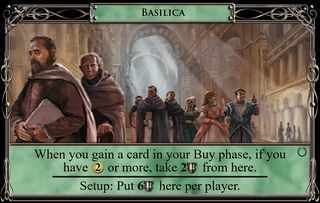 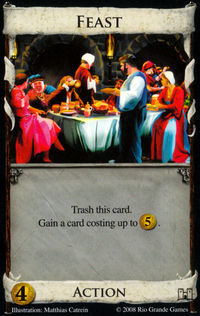 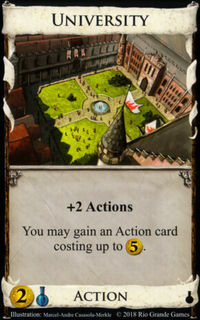 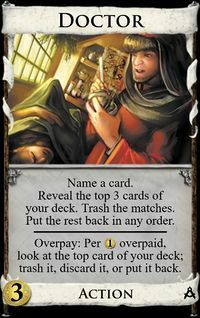 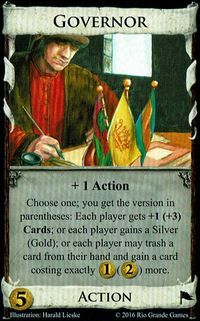 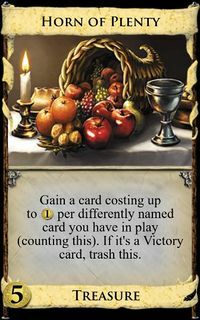 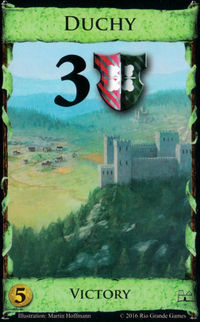 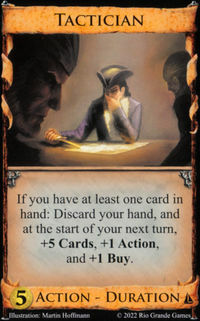 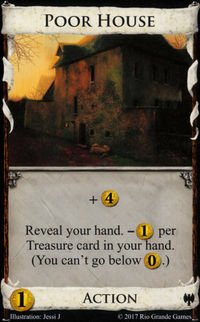 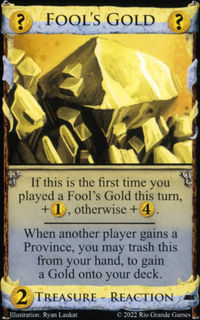 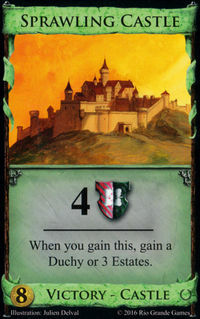 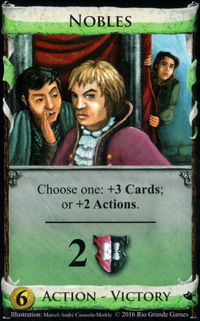 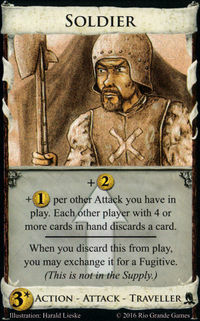 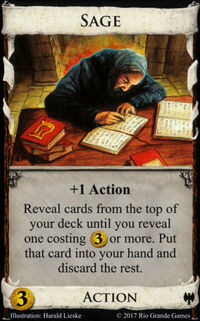 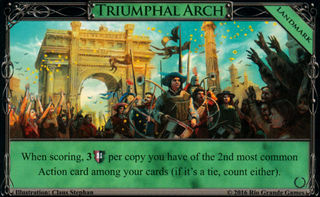 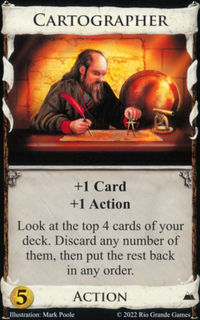 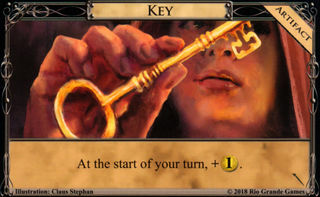 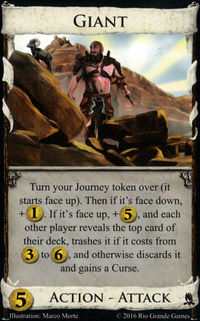 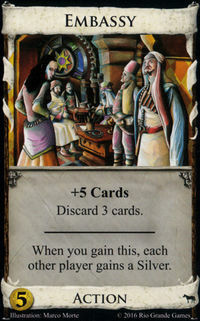 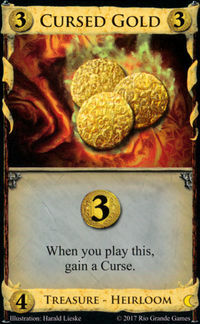 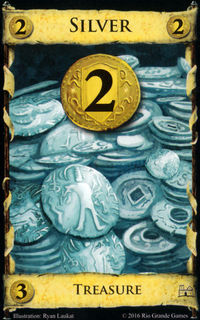 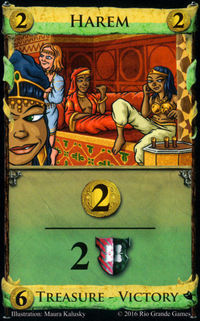 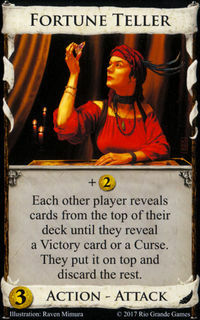 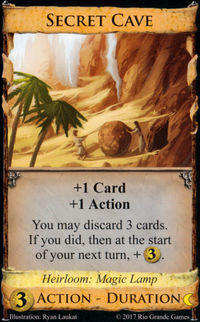 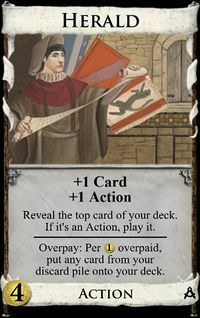 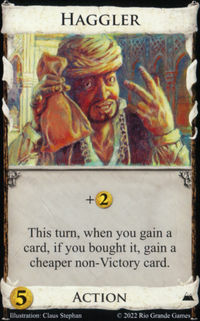 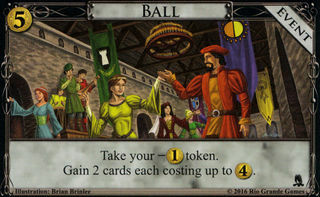 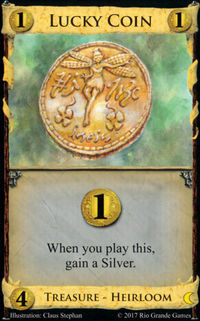 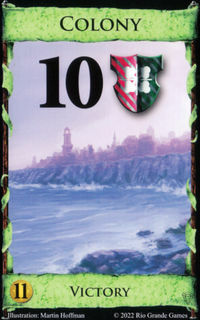 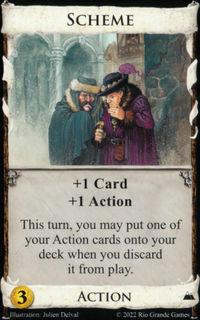 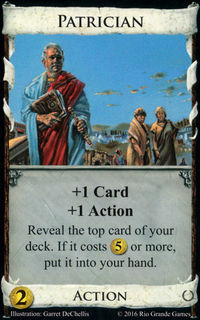 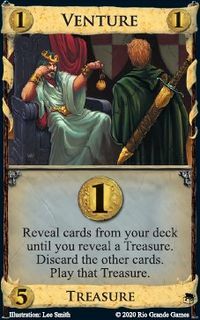 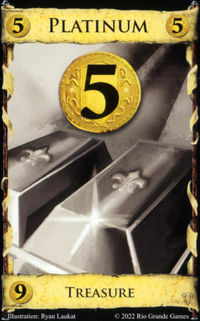 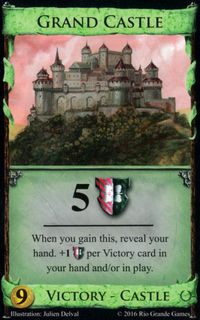 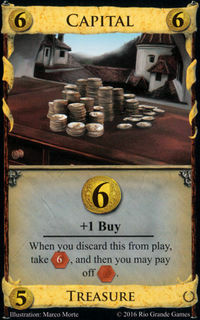 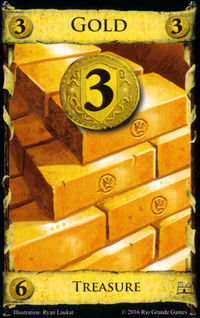 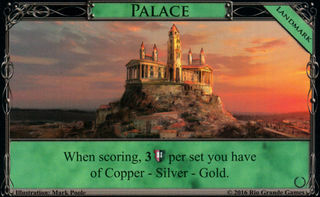 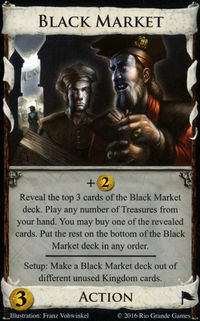 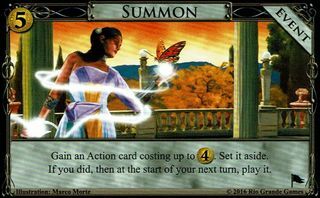 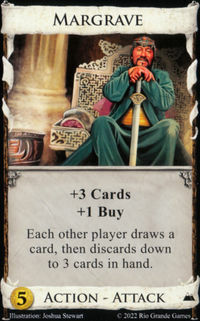 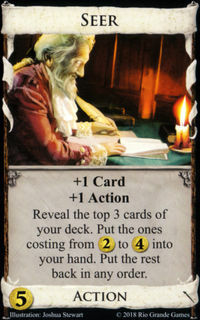 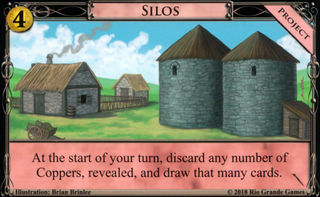 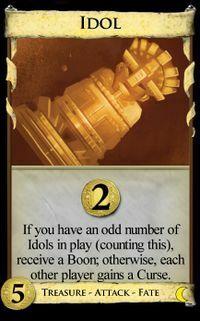 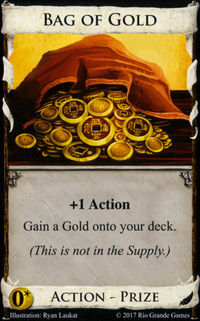 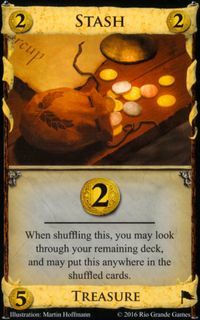 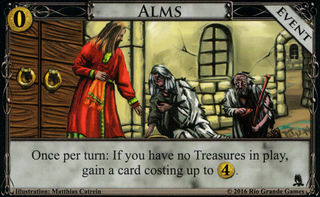 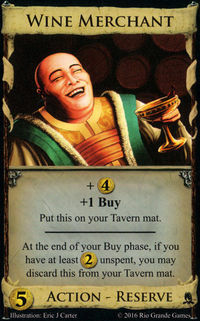 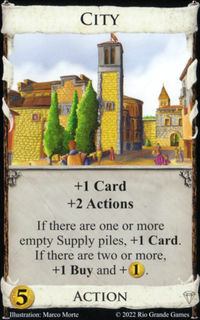 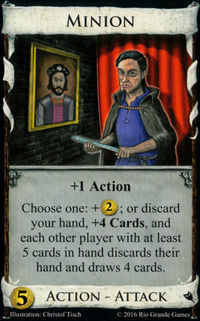 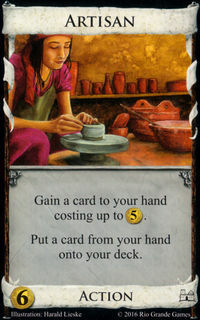 The Alchemy rulebook suggests that players might prefer to play games containing three to five -costing cards in the Kingdom rather than just one, but this is only a suggestion; games with any number of -costing cards are legal Dominion games. 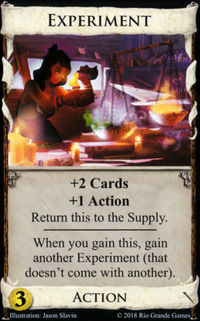 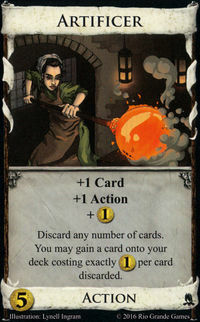 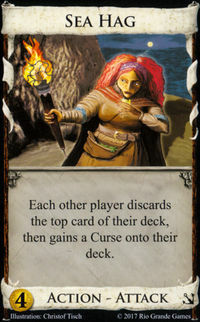 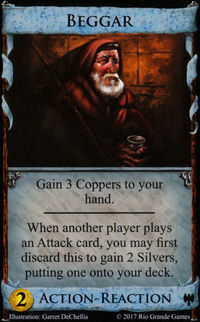 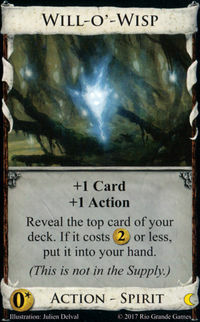 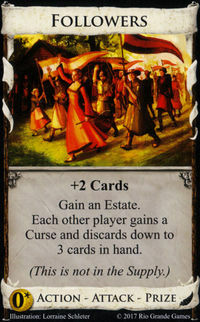 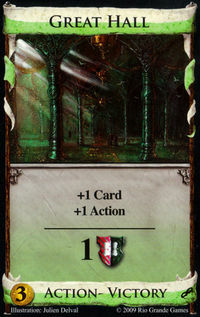 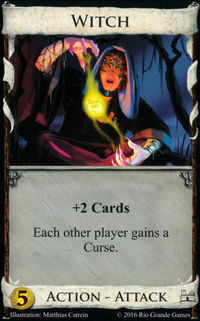 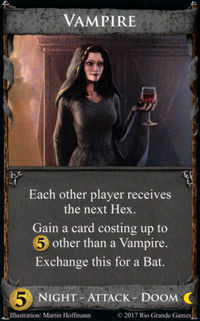 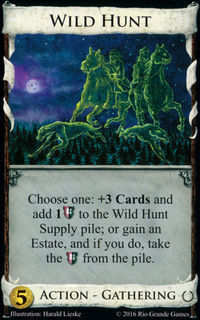 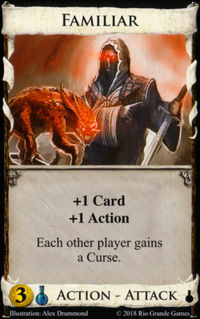 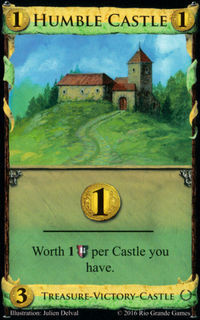 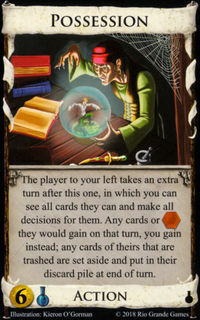 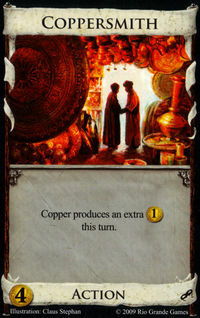 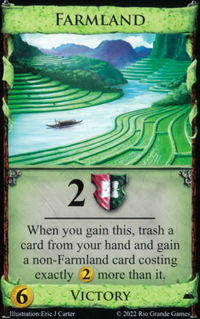 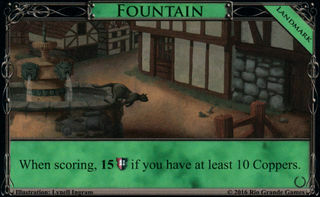 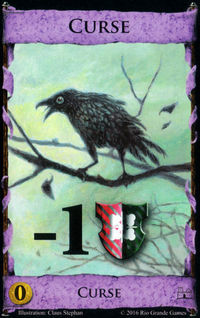 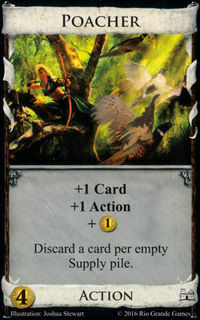 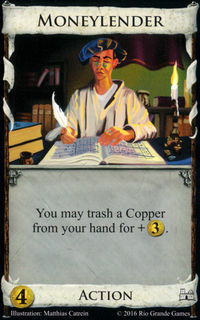 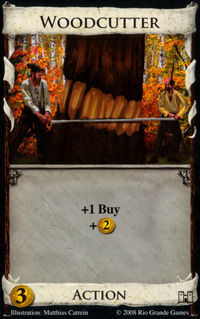 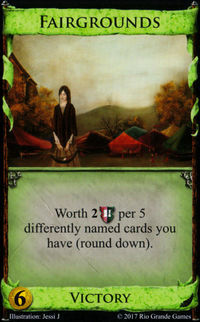 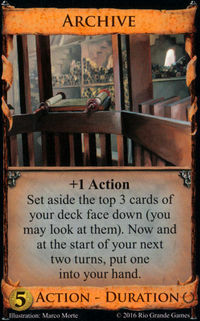 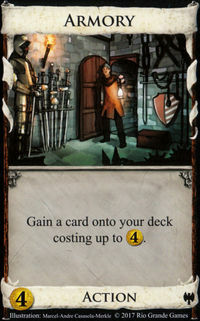 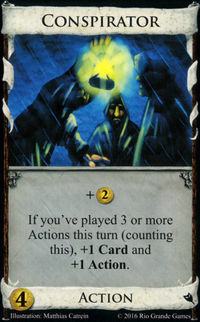 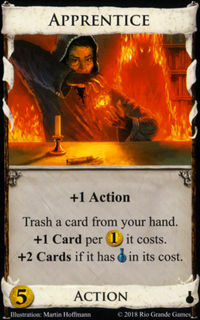 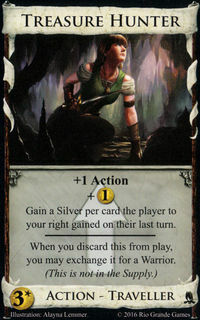 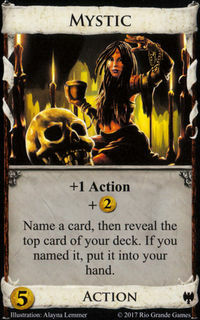 However, the presence of a few different -costing cards in the supply increases the value of Potions. 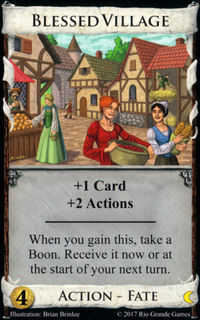 There are a very small number of ways to gain -costing cards without using a Potion. 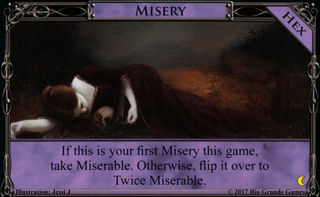 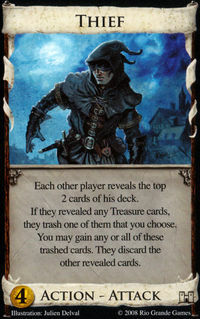 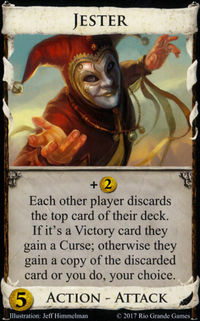 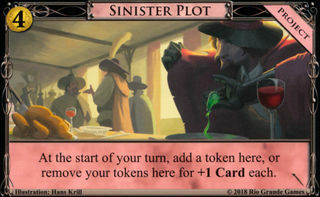 The most important are Jester , which on a lucky draw can gain you a copy of a -costing card in your opponent's deck, and Lurker , which can gain them via the trash. 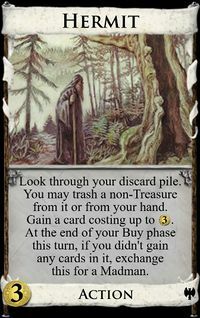 Other ways to gain cards restricted by type but not cost can also gain specific -costing cards: Squire , when trashed, can gain Familiars and Scrying Pools ; and Hero (and in principle Thief ) can gain Philosopher's Stones . 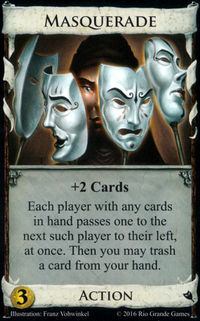 Masquerade can be used to steal -cost cards from your opponent without "gaining" them; this is most likely to be effective against an opponent top-decking multiple Alchemists each turn. 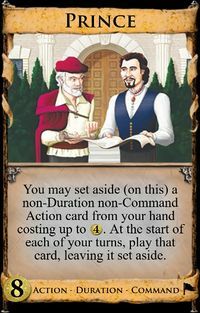 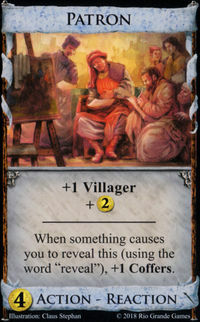 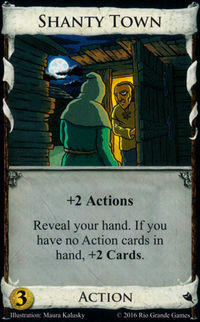 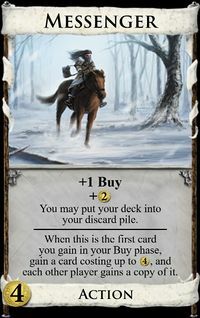 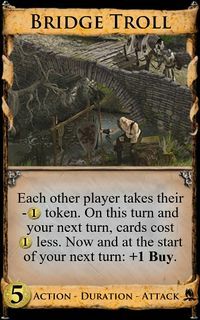 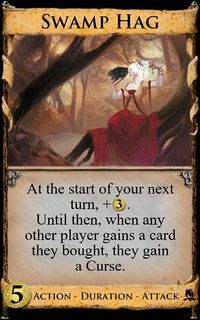 Changeling and Disciple can gain you a copy of a -costing card that you already have, though you'll still need a Potion to buy that first copy. 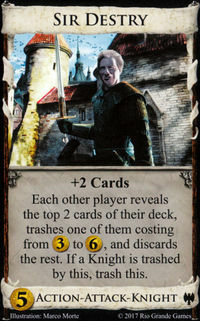 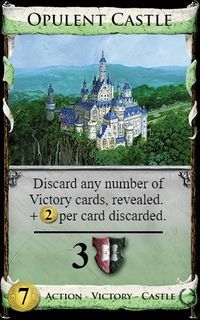 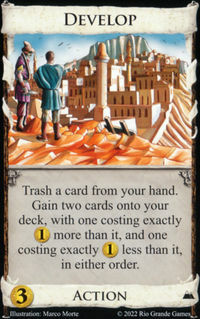 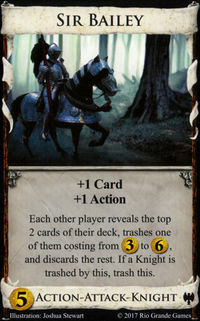 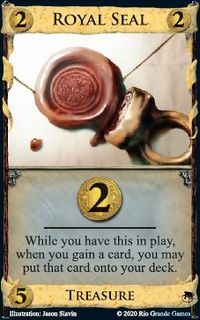 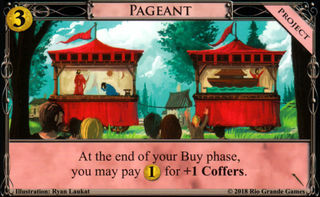 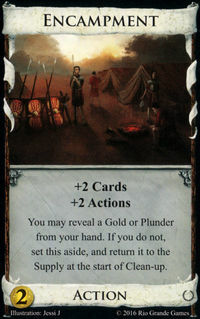 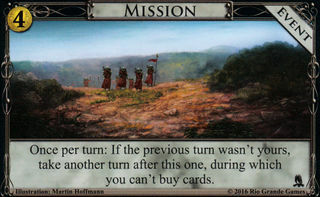 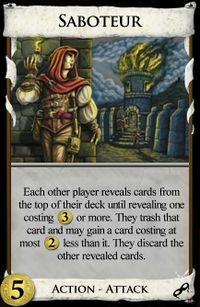 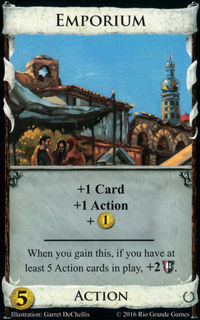 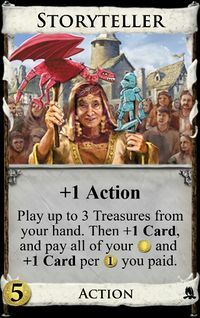 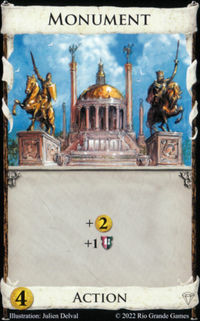 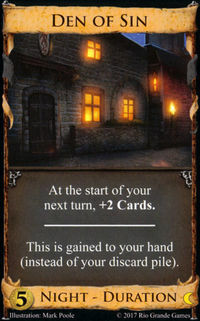 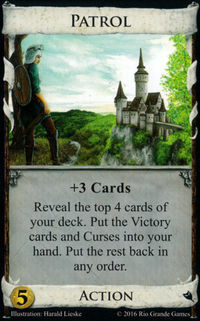 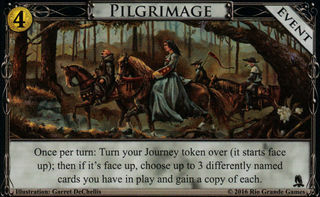 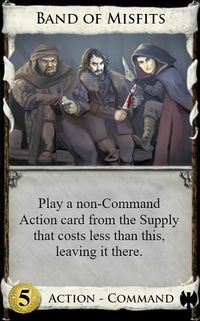 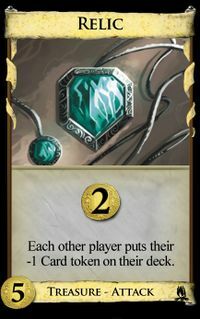 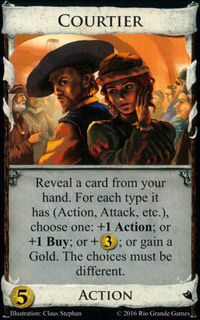 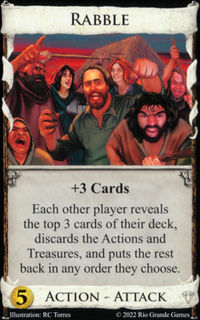 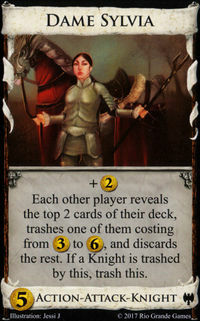 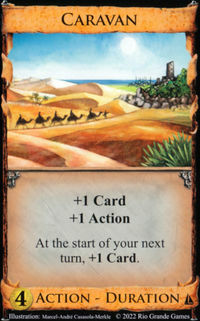 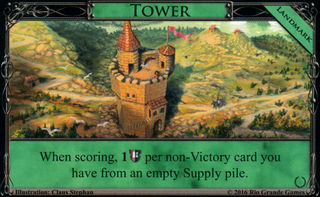 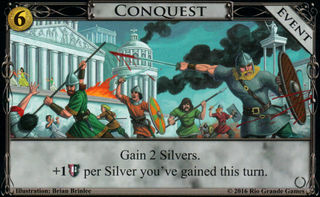 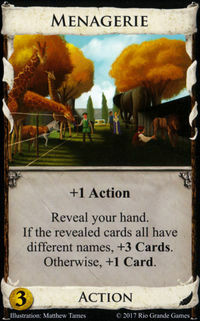 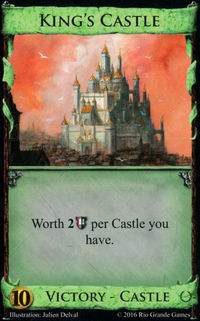 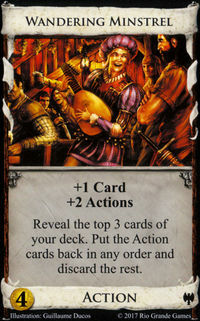 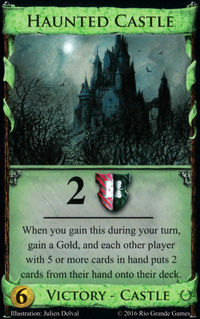 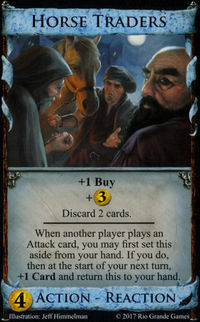 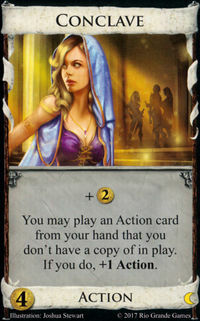 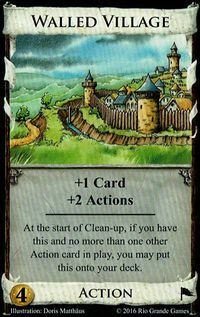 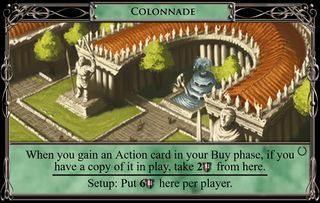 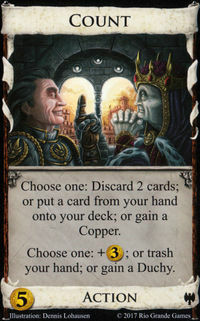 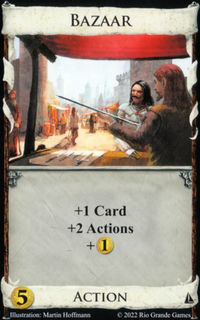 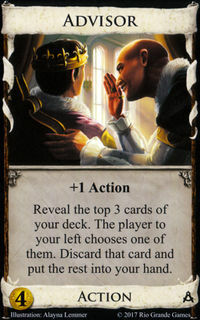 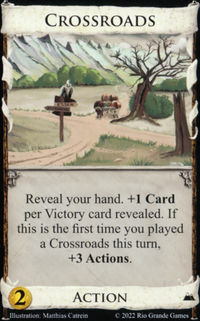 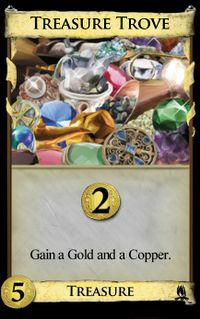 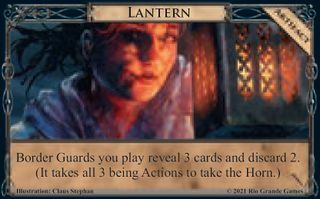 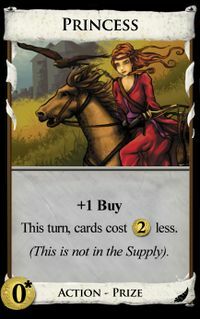 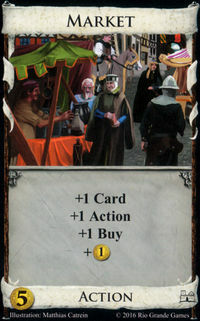 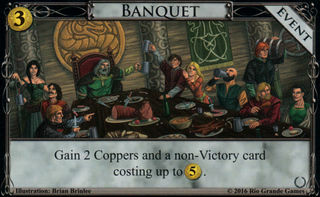 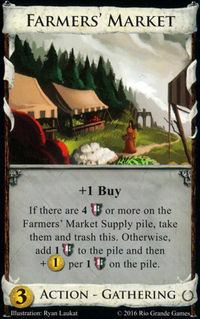 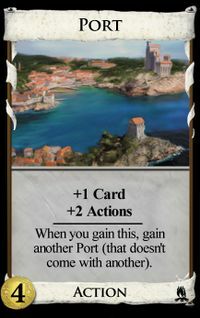 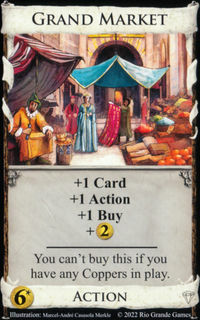 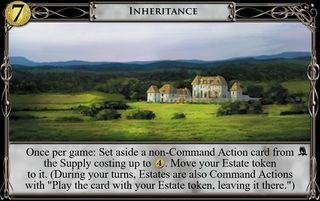 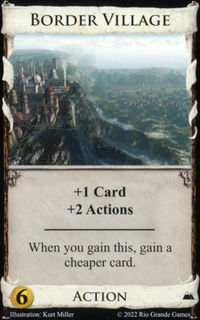 Multiple -costing cards in the Kingdom. 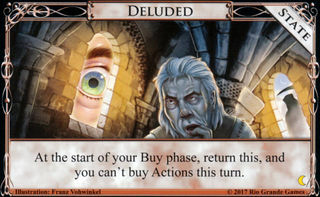 +Buy. 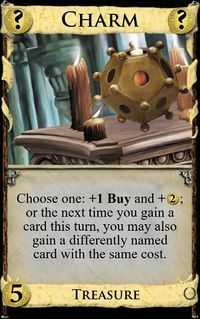 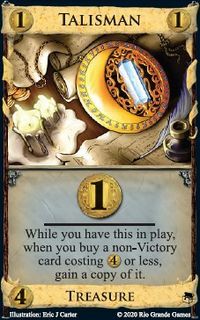 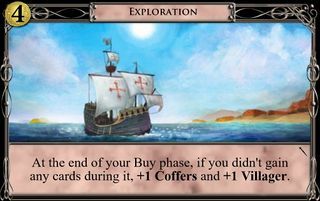 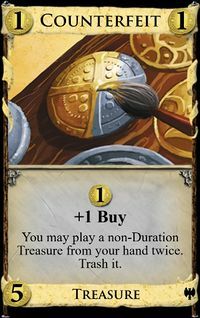 When you have a Potion in hand plus more than you need to buy the -costing card that you want, it's very useful to be able to spend the remaining on a Treasure or another engine component. 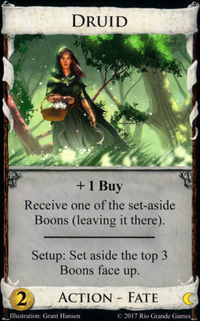 Especially Herbalist , since it also allows you to save your Potion from one turn to the next and thus buy multiple -costing cards per reshuffle. 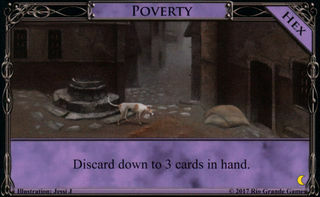 -costing terminal silvers. 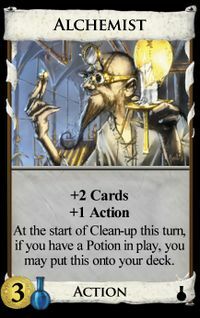 On a 4/3 opening with Potion, cheap terminals can give you a much-needed + and a bonus without risk of early collision with another terminal. 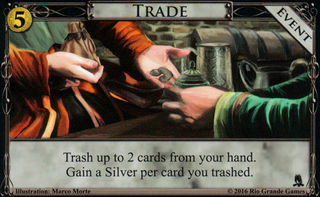 Even relatively weak terminal silvers like Woodcutter and Chancellor can be good complements to a Potion opening. 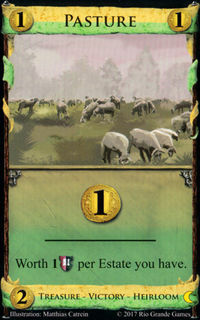 Colony , which tends to favor slow-building engines. 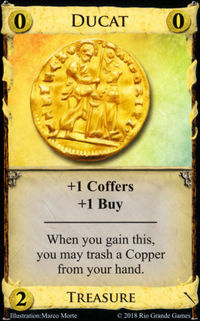 Mine , which can let you trade in a Silver for a Potion or a Potion for a Gold, depending on whether you need or more at the moment. 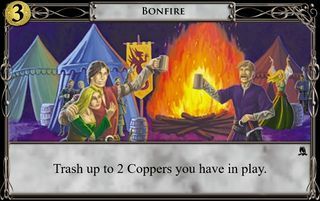 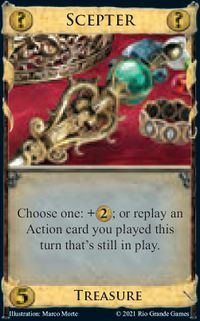 Crown (and maybe Counterfeit ) lets you play a Potion more than once in a turn. 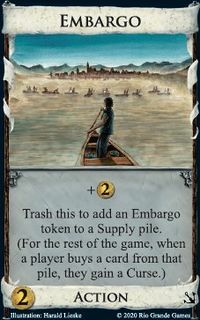 Embargo : once you've bought a Potion, your opponent is free to put an Embargo token on the -costing card you want and really cramp your style. 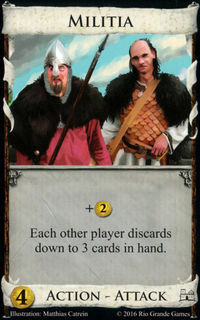 Lurker and Squire let you skip buying potions and gain the cards directly. 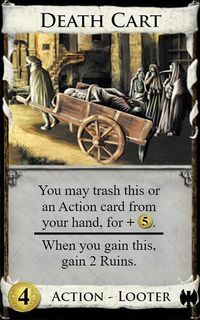 This is the same card as ever. 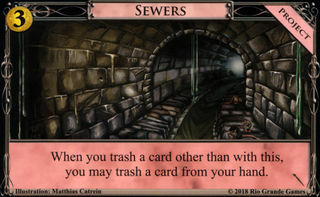 I put it at because none of the cards that are always out cost . 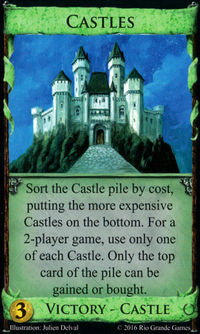 Originally the pile was 12 cards. 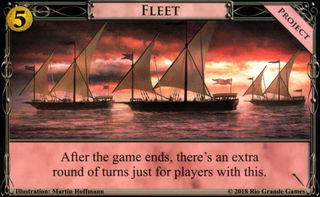 There was room for 16 so there are 16. 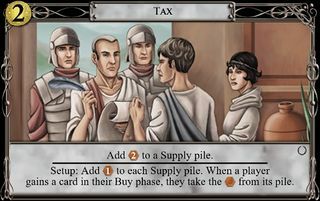 Twelve is probably enough, but it's nice to have a few extras just in case. 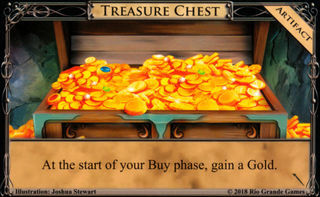 This page was last modified on 4 February 2019, at 23:22.